The following is a preliminary attempt to list every public performance given by Jascha Heifetz, including radio broadcasts, recording sessions, and appearances for the USO during World War II. We know that this list is incomplete, especially in the period 1906 through 1920. We invite additions and corrections, which may be submitted to us at jmaltese@uga.edu. This list is drawn from Heifetz’s personal collection of programs, which are housed at the Library of Congress in the Jascha Heifetz Collection (Boxes 218-233). This collection also contains a scrapbook of programs from 1911 to 1917 (Box 240), and Heifetz’s program files—his own list of concerts arranged by country and city (Boxes 230-231). In addition to our own research at the Library of Congress, we are indebted to Joshua Livingston for giving us access to the papers of Myra Cohn Livingston, which include translations of the Russian programs, photocopies of programs, and Heifetz’s concert diaries. That access streamlined the process of making this compilation. Heifetz’s personal set of programs at the Library of Congress is incomplete, especially in the earlier years. We have supplemented the following list by drawing upon additional programs from our own collection, concerts listed in Heifetz’s concert diaries, and—especially in the years up to 1920—by perusing published sources, including the magazines Musical America and Musical Courier, for reviews and dates of concerts. In addition, we are indebted to Gino Francesconi, Archivist at Carnegie Hall, for providing us with a list of all of Heifetz’s appearances at Carnegie Hall. The programs at the Library of Congress contain Heifetz’s handwritten annotations, which include the compositions he played as encores at each concert. 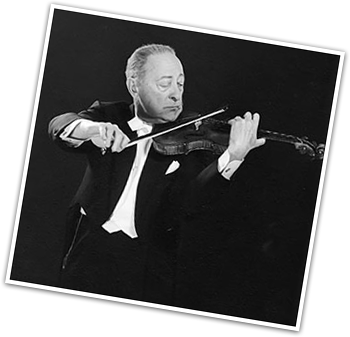 For now, we have refrained from listing what Heifetz played at each concert. The separate list of Heifetz’s concert repertoire identifies the compositions that Heifetz performed in public or recorded, and gives a rough idea of when he first played each piece in public. The dates of concerts given in Russia from 1906 to 1917 are in the “Old Style” (marked “o.s.”) and conform to the Julian calendar rather than the “New Style” (or Gregorian) calendar. Recording sessions appear in italics. John Maltese is Professor Emeritus of Music, Jacksonville State University, Alabama; his son, John Anthony Maltese, is the Albert B. Saye Professor and Head of the Department of Political Science at the University of Georgia. They are currently writing the authorized biography of Jascha Heifetz. December 12 [o.s. ]: Vilnius. Student recital at the Imperial Music School. March 27 [o.s. ]: Vilnius. Student recital at the Imperial Music School. May 17 [o.s. ]: Vilnius. Student recital at the Imperial Music School. November 2 [o.s. ]: Vilnius. Student recital at the Imperial Music School. May 29 [o.s. ]: Vilnius. Graduation recital at the Imperial Music School. September 19 [o.s. ]: Vilnius, City Club. As part of concert with several performers. September 20 [o.s. ]: Vilnius, Hall of the Trade-Manufacturing Social Assembly. October 21 [o.s. ]: Vilnius, City Hall. December 26 [o.s. ]: Vilnius, Hall of the Trade-Manufacturing Social Assembly. April 24 [o.s. ]: St. Petersburg Conservatory. Public Exam. November 5 [o.s. ]: St. Petersburg Conservatory, Maly Hall, Conservatory. Student recital. Emanuel Bay, piano. December 9 [o.s. ]: St. Petersburg Conservatory, Maly Hall. Student recital. April 17 [o.s. ]: St. Petersburg. Maly Hall, Conservatory. Emanuel Bay, piano. May 13 [o.s. ]: Pavlovsk Station. Orchestra. Alexander Aslanov, conductor. May — : St. Petersburg. Unidentified pianist. Recording session for Zvukopis. July 21 [o.s]: Odessa. XI Symphony Concert. E.E. Plotnikov, conductor. July 26 [o.s. ]: Odessa. Symphony Concert. M.A. Wolf-Israel, conductor. July 28 [o.s. ]: Odessa. XIII Symphony Concert. M.A. Wolf-Israel, conductor. conductor (and violinist with Heifetz in a duo by Alard). December 29 [o.s. ]: Vilnius, Hall of the Railroad Society. January 14 [o.s. ]: Nikolaev. Emanuel Bay, piano. January 28 [o.s. ]: Lodz. Warsaw Philharmonic. Zdzisław Birnbaum, conductor. February 3 [o.s. ]: Lodz. Warsaw Philharmonic. Zdzisław Birnbaum, conductor. April 8 [o.s. ]: St. Petersburg, Maly Hall, Conservatory. Emanuel Bay, piano. May 19: Berlin. Bechstein-Saal. Otto Bake, piano. May 20: Berlin, Press matinee at the home of Arthur Abell. Marcel van Gool and Fritz Kreisler, piano. May 24: Berlin, Theatersaal, Hochschule für Musik. Recital. Josef Schwartz, piano. July 26 [o.s]: Dubulti. Riga Philharmonic. Georg Schnéevoigt, conductor. August 4 [o.s]: Dubulti. Riga Philharmonic. Georg Schnéevoigt, conductor. October 12: Berlin, Beethoven-Saal. Waldemar Liachowsky, piano. October 14: Berlin, Saal der Hochschule. Waldemar Liachowsky, piano. October 23: Berlin, Beethoven-Saal. Waldemar Liachowsky, piano. November 1: Königsberg, Grossen Saale der Stadthalle. Waldemar Liachowsky, piano. November 4: Grunewald (Berlin). Recording session at the home of Julius Block. November 5: Prague. Waldemar Liachowsky, piano. November 6: Dresden, Vereinshaus. Waldemar Liachowsky, piano. November 8: Prague. Stadthalle. Waldemar Liachowsky, piano. November 14: Brandenburg. Hohenzollern-Park. Waldemar Liachowsky, piano. November 19: Hamburg. Curio-Haus, Grosser Saal. Waldemar Liachowsky, piano. November 21: Berlin, Blüthner-Saal. Waldemar Liachowsky, piano. November 30: Hamburg. Musikhalle, Grosser Saal. Waldemar Liachowsky, piano. December 7: Dresden, Vereinshaus. Waldemar Liachowsky, piano. December 9: Hamburg. Musikhalle, Grosser Saal. Recital. Waldemar Liachowsky, piano. December 13: Berlin, Marmor-Saal des Zoologischen Garten. Waldemar Liachowsky, piano. Schnéevoigt, conductor. Solos with Oskar Springfeld, piano. Dissemination of Education among the Jews in Russia. Ribinovich, piano. March 22 [o.s. ]: St. Petersburg. “Dvorianskoe Sobranie” Hall. M.T. Dulov, piano. March 27 [o.s. ]: St. Petersburg. Maly Hall, Conservatory. M.T. Dulov, piano. July 21. Loschwitz. Student recital [Bach double concerto with Toscha Seidel, violin]. October 2: Dresden Vereinshaus. Waldemar Liachowsky, piano. October 19: Warsaw. Waldemar Liachowsky, piano. November 22 [o.s. ]: St, Petersburg. Hall of the Assembly of Nobility. M.T. Dulov, piano. December 4 [o.s. ]: Vilnius. City Hall. Vilnius Symphony Orchestra. A. Vylezhinsky, conductor. December 8 [o.s. ]: Kiev. Kupecheskoe Sobranie Hall. Isidor Achron, piano. December 11 [o.s. ]: Kiev. Kupecheskoe Sobranie Hall. Isidor Achron, piano. December 20 [o.s. ]: Vilnius. City Hall. Vilnius Symphony Orchestra. Konstantin Vout, conductor. Petersburg Branch of the Royal Russian Music Society. Alexander Glazounov, conductor. February 7: Berlin. Blüthner-Saal. Waldemar Liachowsky, piano. February 18: Budapest. Oszkár Dienzl, piano. February 27: Vienna. Grossen Musikvereins-Saale. Das Weiner Tonkünstler-Orchester. March 1: Budapest. National Opera Orchestra. Fritz Reiner, conductor . Waldemar Liachowsky, piano. March 5: Warsaw. Teatr Wielki. L. Urstein, piano. March 13 [o.s. ]: Moscow. Large Hall, Conservatory. Isidor Achron, piano. April 9 [o.s. ]: Odessa. New Merchant’s Exchange. Isidor Achron, piano. April 11 [o.s. ]: Kishinev. Orpheum Theatre. Isidor Achron, piano. April 13 [o.s. ]: Odessa. New Merchant’s Exchange. Isidor Achron, piano. April 20 [o.s. ]: Vitebsk. Tikhantovsky Theater. Isidor Achron, piano. March 1 [o.s. ]: St. Petersburg. Maly Hall, Conservatory. Isidor Achron, piano. April 8 [o.s. ]: St. Petersburg. Maly Hall, Conservatory. Isidor Achron, piano. Music Society. Isidor Achron, piano. Sick Jews in Odessa. Isidor Achron, piano. October 3 [o.s. ]: [St. Petersburg.] Theatre of the “Narodnyi Dom” of Emperor Nikolai II. November 9 [o.s. ]: Moscow: K.H. Nezlobin Theatre. Orchestra. Serge Koussevitzky, conductor. December 15 [o.s. ]: St. Petersburg. Opera Theatre of the “People’s House.” Orchestra. Conservatory Infirmary. Isidor Achron, piano. January 27 [o.s. ]: St. Petersburg. Maly Hall, Conservatory. Isidor Achron, piano. January 30 [o.s. ]: [Moscow]. Bolshoi Theatre, Orchestra of the Bolshoi Theatre. Vasily Safonov, conductor. February 2 [o.s. ]: Kiev. Kupecheskoe Sobranie Hall. Isidor Achron, piano. February 5 [o.s. ]: Kiev. Kupecheskoe Sobranie Hall. Isidor Achron, piano. February 8 [o.s. ]: Kharkov. Opera Theater, Merchant’s Club. Isidor Achron, piano. February 11 [o.s. ]: Yekaterinoslav. Winter Theatre. Isidor Achron, piano. February 16 [o.s. }: Tbilisi. State Theater. Isidor Achron, piano. February 18[o.s. ]: Tbilisi. Hall of the Artistic Society. Isidor Achron, piano. February 21 [o.s. ]: Tbilisi. Isidor Achron, piano. February 29 [o.s. ]: St. Petersburg. Maly Hall, Conservatory. Isidor Achron, piano. Society for Aid for Needy Students at the Wasserman School. A.I. Benditsky, piano. August 28: Christiania. Brødrene Hals’ Konsertsal. Henriette Burgin, piano. August 30: Christiania. Logens store Sal. Henriette Burgin, piano. September 4: Christiania. Logens store Sal. Henriette Burgin, piano. and Queen of Norway. 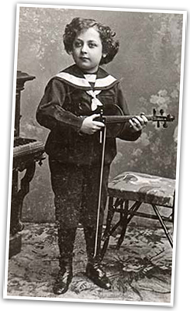 Toscha Seidel, violin. Wanda Bogutska-Stein, piano. September 15: Christiania. Logens store Sal. Henriette Burgin, piano. September 19: Christiania. Logens store Sal. Henriette Burgin, piano. September 21: Christiania. Logens store Sal. Henriette Burgin, piano. September 25: Christiania. Logens store Sal. Henriette Burgin, piano. September 27: Bergen. Drammens Teater. Henriette Burgin, piano. October 1: Bergen. Drammens Teater. Henriette Burgin, piano. October 2: Copenhagen. Odd Fellow-Palæts Store Sal. Henriette Burgin, piano. October 9: Copenhagen. Kgl. Musikaliska Akademien. Henriette Burgin, piano. October 12: Copenhagen. Odd Fellow-Palæts Store Sal. Henriette Burgin, piano. October 19: Copenhagen. Odd Fellow-Palæts Store Sal. Henriette Burgin, piano. October 23: Copenhagen. Auditorium. Henriette Burgin, piano. October 26: Copenhagen. Odd Fellow-Palæts Store Sal. Henriette Burgin, piano. November 29 [o.s. ]: St. Petersburg. Orchestra. Alexander Glazounov, conductor. December 11 [o.s. ]: ??. Volynskii Regiment Orchestra. O. Shteiman, conductor. December 22 [o.s. ]: St. Petersburg. Maly Hall, Conservatory. M.T. Dulov, piano. January 9 [o.s. ]: St. Petersburg. Maly Hall, Conservatory. Isidor Achron, piano. January 31 [o.s. ]: St. Petersburg. Maly Hall, Conservatory. Isidor Achron, piano. March 13 [o.s. ]: St. Petersburg. Maly Hall, Conservatory. Isidor Achron, piano. March 20 [o.s. ]: St. Petersburg. Maly Hall, Conservatory. Isidor Achron, piano. April 6 [o.s. ]: Riga. Bolshoi Hall, Polytechnic Museum. Isidor Achron, piano. April 9 [o.s. ]: Kiev. Kupecheskoe Sobranie Hall. Isidor Achron, piano. April 11 [o.s. ]: Kiev. Kupecheskoe Sobranie Hall. Isidor Achron, piano. April 17 [o.s. ]: Kharkov. Maly Theatre. Isidor Achron, piano. April 19 [o.s. ]: Poltava. Music Academy Hall. Isidor Achron, piano. April 21 [o.s. ]: Kharkov. Maly Theatre. Isidor Achron, piano. April 24 [o.s. ]: Gomel. “Khudozhestv” Theatre. Isidor Achron, piano. April 27 [o.s. ]: Rostov-on-Don. Trade School Hall. Isidor Achron, piano. There is a second program printed in Ekaterinoslav with no date or year, with Isidor Achron, piano. April 29 [o.s. ]: Rostov-on-Don. Isidor Achron, piano. May 3 [o.s. ]: Gomel. Theater of the Arts. Isidor Achron, piano. conductor. Solos with Isidor Achron, piano. May 17 [o.s. ]: Saratov. The Russian Music Society. Isidor Achron, piano. June 23 [o.s. ]: St. Petersburg. Musical Drama Theatre. Orchestra. Grigory Fitelberg, conductor. October 27: New York. Carnegie Hall. (U.S. debut). November 17: New York. Waldorf-Astoria. November 19: Detroit, Michigan. Detroit Armory. November 27: Chicago, Illinois. Orchestra Hall. December 1: New York. Carnegie Hall. Frances Alda and Giovanni Martinelli). December 7: New York. Biltmore Musicale (with Leopold Godowsky and Frances Alda). December 10: Wilkes-Barre, Pennsylvania. Irem Temple. December 13: Montreal, Quebec. Windsor Hall. December 19: Camden, New Jersey. Victor Studios. André Benoist, piano. Orchestra. Josef Pasternack, conductor. Recording session for Victor. December 23: New York. Metropolitan Opera House. Metropolitan Opera Orchestra. January 1: New York. Carnegie Hall. January 3: Brooklyn, New York. Brooklyn Academy of Music. January 6: Boston, Massachusetts. Symphony Hall. January 9: Northampton, Massachusetts. John M. Greene Hall, Smith College. January 16: Bridgeport, Connecticut. Park Theatre. January 17: Waterbury, Connectucut. Buckingham Hall. January 23: Philadelphia, Pennsylvania. Academy of Music. New York Symphony. Louise Homer, Mabel Garrison, and Andres de Segurola). January 29: New York. Carnegie Hall. January 30: New York. Carnegie Hall. January 31: Philadelphia, Pennsylvania. Academy of Music. February 7: Cleveland, Ohio. Gray’s Auditorium. February 8: St. Louis, Missouri. Odeon. February 12: Kansas City, Missouri. Shubert Theatre. February 15: Cincinnati, Ohio. Emery Auditorium. February 17: Chicago, Illinois. Orchestra Hall. February 18: Dayton, Ohio. Memorial Hall. February 20: Toledo, Ohio. The Coliseum. February 21: Detroit, Michigan. Armory. February 24: Chicago, Illinois. Orchestra Hall. February 25: Fort Wayne, Indiana. Majestic Theatre. March 7: Baltimore, Maryland. Lyric Theatre. March 8: Washington, D.C. National Theatre. March 14: Philadelphia, Pennsylvania. Academy of Music. March 17: Boston, Massachusetts. Symphony Hall. March 18: Albany, New York. Harmanus Bleecker Hall. March 20: London, Ontario. Winter Garden. March 21: Rochester, New York. Convention Hall. March 22: Buffalo, New York. Elmwood Music Hall. March 24: New York. Volpe Institute of Music. Reception in honor of Leopold Auer. March 31: Boston, Massachusetts. Symphony Hall. April 2: Providence, Rhode Island. April 6: New York. Carnegie Hall. April 9: Pittsburgh, Pennsylvania. Carnegie Music Hall. April 15: Milwaukee, Wisconsin. Pabst Theatre. April 17: Cleveland, Ohio. Gray’s Armory. April 19: Syracuse, New York. Mizpah Auditorium. April 23: Montreal, Quebec. Monument National Theatre. soldiers and sailors. (Raised $15,000). Amelita Galli-Curci, and Enrico Caruso). October 26: New York. Carnegie Hall. November 3: Boston, Massachusetts. Symphony Hall. November 9: Lincoln, Nebraska. City Auditorium. November – : Milwaukee, Wisconsin. Auditorium. November 17: Chicago, Illinois. Orchestra Hall. November 18: Detroit, Michigan. Arena Gardens. November 20: Cincinnati, Ohio. Emery Auditorium. November 22: Scranton, Pennsylvania. Town Hall. November 25: Baltimore, Maryland. New York Symphony. Walter Damrosch, cond. November 26: Washington, D.C. Shubert-Belasco Theatre. New York Symphony. November 30: New York. Carnegie Hall. December 3: Chicago, Illinois. Crystal Ballroom, The Blackstone. December 5: Grand Rapids, Michigan. Powers Theatre. December 8: Chicago, Illinois. Orchestra Hall. December 9: Pittsburgh, Pennsylvania. Syria Mosque. December 14: Providence, Rhode Island. Shubert Majestic Theatre. Claudia Muzio and Giuseppe de Luca). January 7: Reading, Pennsylvania. Rajah Theatre. January 9: Youngstown, Ohio. Park Theatre. January 12: Erie, Pennsylvania. Park Opera House. January 14: Morgentown, West Virginia. Strand Theatre. January 17: Dayton, Ohio. Memorial Hall. January 19: Chicago, Illinois. Orchestra Hall. January 20: Altoona, Pennsylvania. Mishler Theatre. January 27: Wilkes-Barre, Pennsylvania. Irem Temple. January 28: Buffalo, New York. Elmwood Music Hall. February 2: Boston, Massachusetts. Symphony Hall. February 4: Philadelphia, Pennsylvania. Academy of Music. February 6: Albany, New York. Harmanus Bleecker Hall. February 9: New York. Carnegie Hall. February 11: Johnstown, Pennsylvania. Cambria Theater. February 13: Washington, D.C. National Theatre. February 14: Indianapolis, Indiana. Murat Theatre. February 17: Atlanta, Georgia. Auditorium Armory. February 19: New Orleans, Louisiana. Athenaeum. February 21: Houston, Texas. City Auditorium. February 24: San Antonio, Texas. Beethoven Hall. February 26: Dallas, Texas. Fair Park Coliseum. February 28: Oklahoma City, Oklahoma. Auditorium. March 4: Tulsa, Oklahoma. Convention Hall. March 8: Sioux Falls, South Dakota. Coliseum. March 10: Omaha, Nebraska. Brandeis Theatre. March 12: Des Moines, Iowa. Coliseum. March 14: Rock Island, Illinois. Augustana Gymnasium. March 17: Saint Louis, Missouri. Odeon. March 19: Louisville, Kentucky. Macauley’s Theatre. March 23: Indianapolis, Indiana. Murat Theatre. March 25: Cleveland, Ohio. Gray’s Armory. March 27: Toronto, Ontario. Massey Music Hall. March 30: Boston, Massachusetts. Symphony Hall. April 1: Syracuse, New York. Mizpah Auditorium. April 2: Providence, Rhode Island. Infantry Hall. April 3: Rochester, New York. Convention Hall. April 8: Binghamton, New York. Kalurah Temple. April 12: Philadelphia, Pennsylvania. Academy of Music. October 13: Camden, New Jersey. Victor Studios. Samuel Chotzinoff, piano. October 14: Camden, New Jersey. Victor Studios. Samuel Chotzinoff, piano. Orchestra. October 25 (2:30 p.m.): New York. Carnegie Hall. Ponselle, Mabel Garrison, Andres de Segurola, and Leon Rothier). October 27: Philadelphia, Pennsylvania. Academy of Music. October 28: Camden, New Jersey. Victor Studios. Samuel Chotzinoff, piano. October 29: Utica, New York. Lumberg Theatre. October 31: Akron, Ohio. Akron Armory. November 3: Minneapolis, Minnesota. Auditorium. November 5: Duluth, Minnesota. Armory. November 7: Evanston, Illinois. Evanston Women’s Club Auditorium. November 9: Indianapolis, Indiana. Shubert Murat Theatre. November 11: Galesburg, Illinois. Galesburg Armory. November 13: Toronto, Ontario. Massey Music Hall. November 16: New York. Carnegie Hall. November 18: Springfield, Massachusetts. Auditorium. November 20: New Haven, Connecticut. Woolsey Hall, Yale University. November 23: Boston, Massachusetts. Symphony Hall. November 25: Pittsburgh, Pennsylvania. Syria Mosque. November 26: Cleveland, Ohio. New Masonic Hall. November 30: Chicago, Illinois. Orchestra Hall. December 2: Milwaukee, Wisconsin. Pabst Theatre. December 4: Ann Arbor, Michigan. Hill Auditorium. December 7: Detroit, Michigan. Arena Auditorium. December 28: New York. Metropolitan Opera House. Sixth Sunday Night Concert. New York. Rubinstein Club (with Charles Trowbridge Tittman and Mabel Garrison). January 4: Boston, Massachusetts. Symphony Hall. January 9: Richmond, Virginia. City Auditorium. January 11: New York. Carnegie Hall. January 15: Washington, D.C.: National Theatre. January 18: Chicago, Illinois. Orchestra Hall. January 23: Spokane, Washington. Auditorium Theatre. January 24: Walla Walla, Washington. January 28: Portland, Oregon. Heilig Theatre. February 4: Portland, Oregon. Heilig Theatre. February 8: San Francisco, California. Columbia Theatre. February 10: San Francisco, California. Scottish Rite Hall. February 13: San Francisco, California. Scottish Rite Hall. February 15: San Francisco, California. Columbia Theatre. February 17: Los Angeles, California. Trinity Auditorium. February 18: San Diego, California. Spreckels Theatre. February 21: Los Angeles, California. Trinity Auditorium. February 22: San Francisco, California. Columbia Theatre. February 28: Salt Lake City, Utah. Salt Lake Theatre. March 1: Denver, Colorado. Auditorium. March – : Lincoln, Nebraska. Auditorium. March 5: Des Moines, Iowa. Coliseum. March 7: Kansas City, Missouri. Shubert Theatre. March 9: Saint Joseph, Missouri. Auditorium. March 15: Buffalo, New York. Elmwood Music Hall. March 18: Worcester, Massachusetts. Mechanics Hall. March 23: Hartford, Connecticut. Foot Guard Hall. March 25: Schenectady, New York. Van Curler Opera House. April 4: New York. Carnegie Hall. April 13: Poughkeepsie, New York. Collingwood Theatre. April 15: Allentown, Pennsylvania. Lyric Theatre. May 5: London. Queen’s Hall. May 19: London. Queen’s Hall. June 1: London. Queen’s Hall. June 12: London. Queen’s Hall. September 16-18: Camden, New Jersey. Victor Studios. Samuel Chotzinoff, piano. Orchestra. Josef Pasternack, conductor. Recording session for Victor. October 20: London. Queen’s Hall. October 26: London. Queen’s Hall. November 3: London. Queen’s Hall. November 5: Bradford. St. George’s Hall. November 12: Manchester. Free Trade Hall. November 15: Edinburgh. Usher Hall. November 16: Glasgow. St. Andrew’s Hall. November 19: Birmingham. Town Hall. November 25: London. Queen’s Hall. Royal Philharmonic. Albert Coates, conductor. November 28: London. Royal Albert Hall. December 1: Liverpool. Philharmonic Hall. December 7: Paris. Salle Gaveau. December 12: London. Royal Albert Hall. Date unknown: London. Royal Albert Hall. February 5: Manchester. Free Trade Hall. February 18: Paris. Salle Gaveau. February 23: Paris. Salle Gaveau. March 13: London. Royal Albert Hall. May 5: Sydney. Town Hall. May 7: Sydney. Town Hall. May 10: Sydney. Town Hall. May 12: Sydney. Town Hall. May 14: Sydney. Town Hall. May 17: Sydney. Town Hall. May 19: Sydney. Town Hall. May 21: Sydney. Town Hall. May 26: Sydney. Town Hall. May 28: Melbourne. Town Hall. May 31: Melbourne. Town Hall. June 2: Melbourne. Town Hall. June 4: Melbourne. Town Hall. June 6: Melbourne. Town Hall. June 8: Melbourne. Town Hall. June 11: Melbourne. Town Hall. June 13: Melbourne. Town Hall. June 15: Melbourne. Town Hall. June 18: Adelaide. Town Hall. June 21: Adelaide. Town Hall. June 23: Adelaide. Town Hall. June 25: Adelaide. Town Hall. July 16: Sydney. Town Hall. July 23: Sydney. Town Hall. August 3: Auckland. Town Hall. August 6: Auckland. Town Hall. August 10: Auckland. Town Hall. August 12: Auckland. Town Hall. August 17: Wellington. Town Hall. August 22: Wellington. Town Hall. August 25: Wellington. Town Hall. August 27: Wellington. Grand Opera House. October 19: Honolulu. Liberty Theatre. October 21: Honolulu. Liberty Theatre. November 4: Los Angeles, California. Philharmonic Auditorium. November 6: San Francisco, California. Century Theatre. November 11: Los Angeles. Philharmonic Auditorium. November 13: San Francisco. Century Theatre. November 16: Portland, Oregon. Heilig Theatre. November 18: Spokane, Washington. Auditorium Theatre. November 21: Seattle, Washington. Metropolitan Theatre. November 23: Portland, Oregon. Heilig Theatre. November 25: Tacoma, Washington. Tacoma Theatre. December 4: San Francisco, California. Century Theatre. December 11: Chicago, Illinois. Orchestra Hall. December 17: New York. Carnegie Hall. December 18: Providence, Rhode Island. [Listed in concert diary. January 2: New York. Carnegie Hall. January 8: Boston, Massachusetts. Symphony Hall. January 9: Montreal, Quebec. Theatre Saint-Denis. January 13: Detroit, Michigan. Prudden Auditorium. January 15: Chicago, Illinois. Orchestra Hall. January 16: Milwaukee, Wisconsin. Milwaukee Auditorium. January 26: St. Paul, Minnesota. People’s Church. January 27: Minneapolis, Minnesota. Minneapolis Armory. February 8: Baltimore, Maryland. Lyric Theatre. February 10: Montclair, New Jersey. February 13 (3:00 p.m.): New York. Carnegie Hall. February 13 (8:15 p.m.): New York. Aeolian Hall. February 17: Buffalo, New York. Elmwood Music Hall. February 21: Detroit, Michigan. Arcadia Auditorium. February 23: Dayton, Ohio. Memorial Hall. February 27: Terre Haute, Indiana. Grand Opera House. February 28: St. Louis, Missouri. Odeon. March 5: New York. Carnegie Hall. March 20: Indianapolis, Indiana. Shubert Theatre. March 28: Hanover, New Hampshire. Dartmouth College. April 2: Boston, Massachusetts. Symphony Hall. April 5: Hartford, Connecticut. Foot Guard Hall. April 9: Fall River, Massachusetts. Empire Theatre. April 11: Pittsburgh, Pennsylvania. Carnegie Music Hall. April 13: Providence, Rhode Island. Symphony Hall. April 18: Toronto, Ontario. Massey Music Hall. April 25: Washington, D.C. National Theatre. April 26: Philadelphia, Pennsylvania. Academy of Music. October 19-20: Camden, New Jersey. Victor Studios. Samuel Chotzinoff, piano. October 25: Albany, New York. State Armory. October 28: New York. Carnegie Hall. October 29: Boston, Massachusetts. Symphony Hall. October 31: Syracuse, New York. November 6: St. Paul, Minnesota. November 14: Youngstown, Ohio. Park Theatre. November 15: Cleveland, Ohio. Masonic Hall. November 18: Grand Rapids, Michigan. November 20: South Bend, Indiana. The Blackstone. November 25: New York. Carnegie Hall. November 26: Boston, Massachusetts. Symphony Hall. December 3: Quebec City, Quebec. Auditorium. December 4: Montreal, Quebec. Theatre Saint-Denis. December 7: Waterbury, Connecticut. New State Armory. December 11: Wellesley, Massachusetts. The Memorial Chapel, Wellesley College. December 13: Philadelphia, Pennsylvania. Academy of Music. January 7: New York. Carnegie Hall. (Isidor Achron, piano for part of recital). January 12: Chattanooga, Tennessee. Tabernacle. January 17: Birmingham, Alabama. The Jefferson. January 21: Charleston, South Carolina. Victory Theatre. January 22: Jacksonville, Florida. Duval County Armory. January 24: Daytona Beach, Florida. Auditorium. January 27: Havana. Teatro Nacional. January 29: Havana. Teatro Nacional. February 1: Havana. Teatro Nacional. February 6: Miami, Florida. White Temple. February 15: New Orleans, Louisiana. Jerusalem Temple. February 21: San Antonio, Texas. Majestic Theatre. February 27: Forth Worth, Texas. First Baptist Auditorium. March 2: Wichita, Kansas. Murat Theatre. March 16: Des Moines, Iowa. Coliseum. March 22: Washington, D.C. Poli’s Theatre. March 23: Baltimore, Maryland. Lyric Theatre. April 1: New York, Carnegie Hall. April 6: Poughkeepsie, New York. April 8: Chicago, Illinois. Auditorium Theatre. April 15: New York. Metropolitan Opera House. Metroplitan Opera House Orchestra. Giuseppe Bamboschuk, conductor. Also solos with Chotzinoff. April 18: Utica, New York. Avon Theatre. April 20: Binghamton, New York. Kalurah Temple. April 27: Newark, New Jersey. for victims of the Japanese earthquake. September 27: Osaka. Town Hall. September 29: Osaka. Town Hall. October 3: Peking. The Pavilion. October 22: Osaka. Town Hall. November 5: Hasekawacho. Town Hall. November 9: Tokyo. Held outdoors because of earthquake damage. November 10: Tokyo. Held outdoors because of earthquake damage. November 11: Tokyo. Held outdoors because of earthquake damage. November 14: Osaka. Central Public Hall. November 24: Kobe. Shurakkan Theatre. November 25: Kobe. Shurakkan Theatre. January 3: Detroit, Michigan. Arcadia Auditorium. January 4: Milwaukee, Wisconsin. Pabst Theater. January 7: Denver, Colorado. Denver Auditorium. January 16: Pasadena, California. High School Auditorium. January 18: San Francisco, California. Curran Theatre. January 19: Los Angeles, California. January 21: Los Angeles, California. January 23: San Francisco, California. Tivoli Theatre. January 24: Oakland, California. Oakland Auditorium Theatre. January 28: Portland, Oregon. Auditorium. January 30: Vancouver, British Columbia. Capitol Theatre. February 4: Seattle, Washington. First Presbyterian Church. February 6: Spokane, Washington. Lewis and Clark High School Auditorium. February 8: Grand Forks, North Dakota. City Auditorium. February 12: Champaign-Urbana, Illinois. University of Illinois, Auditorium. February 15: Greensboro, North Carolina. National Theatre. February 26: Washington, D.C. Poli’s Theatre. March 4: Watertown, New York. Olympic Theatre. March 16: New York. Carnegie Hall. March 21: Eau Claire, Wisconsin. Municipal Auditorium. March 23: Chicago, Illinois. Auditorium Theatre. March ? : Detroit, Michigan. March 26: Rochester, New York. Eastman Theatre. March 27: Cleveland, Ohio. Cleveland Orchestra. Nikolai Sokoloff, conductor. March 29: Cleveland, Ohio. Cleveland Orchestra. Nikolai Sokoloff, conductor. March 31: Springfield, Massachusetts. Springfield Auditorium. April 3: Toronto, Ontario. Massey Music Hall. April 7: Princeton, New Jersey. Alexander Hall. April 11: Brooklyn, New York. Brooklyn Institute of Arts and Sciences. April 21: Schenectady, New York. State Theatre. April 25: New Haven, Connecticut. Yale University, Woolsey Hall. May 4: Havana. Teatro Payret. May 6: Havana. Teatro Payret. August 21: Ocean Grove, New Jersey. Ocean Grove Auditorium. August 24: Saratoga Springs, New York. Convention Hall. November 7: Wilkes-Barre, Pennsylvania. Irem Temple. November 10: Baltimore, Maryland. Lyric Theatre. November 13: Rochester, New York. Eastman Theatre. November 15: New York. Carnegie Hall. November 17: Patterson, New Jersey. High School Auditorium. November 18: Philadelphia, Pennsylvania. Academy of Music. November 24: Minneapolis, Minnesota. University of Minnesota, University Armory. November 27: Winnipeg, Manitoba. Auditorium Board of Trade. November 29: Edmonton, Alberta. Empire Theatre. December 5: Ann Arbor, Michigan. University of Michigan, Hill Auditorium. December 9: Cincinnati, Ohio. Music Hall. December 11: Buffalo, New York. Elmwood Music Hall. December 14: Hartford, Connecticut. Capitol Theatre. December 28: New York. Manhattan Opera House. January 5: Denver, Colorado. Denver Auditorium. January 6: Colorado Springs, Colorado. The Auditorium. January 8: Salt Lake City, Utah. Tabernacle. January 10: Portland, Oregon. Auditorium. January 12: Vancouver, British Columbia. Orpheum Theatre. January 14: Seattle, Washington. First Presbyterian Church. January 18: San Francisco, California. Beatty’s Casino Theatre. January 21: Santa Barbara, California. Casa Dorinda (Mrs. Bliss’s House). January 23: Los Angeles, California. Philharmonic Auditorium. January 24: Los Angeles, California. Philharmonic Auditorium. January 26: San Diego, California. Spreckels Theatre. February 1: New York. Carnegie Hall. February 4: Louisville, Kentucky. Elk’s Club Auditorium. February 9: Palm Beach, Florida. February 17: Havana. Teatro Payret. February 20: Havana. Teatro Payret. February 23: Jacksonville, Florida. Duval Armory. February 27: Houston, Texas. Cathedral. March 5: Pine Bluff, Arkansas. High School Auditorium. March 9: Nashville, Tennessee. Ryman Auditorium. March 12: Raleigh, North Carolina. City Auditorium. March 15: New York. Carnegie Hall. March 16: Brooklyn, New York. Brooklyn Institute of Arts and Sciences. March 18: Lafayette, Indiana. Purdue University. March 19: Montreal, Quebec. Théâtre Saint-Denis. March 22: Chicago, Illinois. Auditorium Theatre. March 26: Milwaukee, Wisconsin. Pabst Theatre. March 29: Boston, Massachusetts. Symphony Hall. April 2: Lowell, Massachusetts. Lowell Memorial Auditorium. April 5: New York. Carnegie Hall. April 14: Syracuse, New York. Mizpah Auditorium. April 16: Burlington, Vermont. University of Vermont, Gymnasium. April 20: Bethlehem, Pennsylvania. Liberty High School. April 24: Lexington, Kentucky. Woodland Auditorium. May 19: Paris. Théatre National de l’Opera. May 26: Paris. Théatre National de l’Opera. June 9: Paris. Théatre National de l’Opera. October 18: London. Royal Albert Hall. November 1: London. Royal Albert Hall. November 21: Manchester. Free Trade Hall. December 10: Middlesbrough. Town Hall. December 13: London. Royal Albert Hall. January 26: Vienna. Grosser Konzerthaus-Saal. February 1: Vienna. Grosser Konzerthaus-Saal. February 10: Monte Carlo. Casino. Orchestra. Léon Jehin, conductor. February 12: Monte Carlo. Casino. February 18: Paris. Théatre National de l’Opera. February 21: Paris. Paris Conservatoire, Salle des Concerts. Societe des Concerts. March 1: Madrid. Teatro de la Comedia. March 8: Madrid. Teatro de la Comedia. March 12: Barcelona. Palau de la Música Catalana. [March ? ]: Lisbon. Teatro da Trindade. March 17: Rome. Accademia di S. Cecilia. March 19: Bologna. Teatro Communale. March 23: Milan. Grande Sala del Conservatorio G. Verdi. March 24: Florence. Sala Bianca, Palazzo Pitti. March 25: Turin. Teatro di Torino. March 26: Venice. Teatro la Fenice. March 29: Naples. Teatro San Carlo. April 11: Jerusalem. Zion Hall. April 12: Tel Aviv. Eden Hall. April 13: Tel Aviv. Eden Hall. April 14: Jerusalem. Zion Hall. April 15: Haifa. Eden Hall. April 17: Cairo. Théâtre du Jardin de l’Esbékieh. May 5: Copenhagen. Odd Fellow-Palæts store Sal. May 27: Brussels. Salle du Conservatoire Royal de Musique. May 31: Antwerp. Théâtre Royal Français d’Anvers. October 27: Copenhagen. Odd Fellow-Palæts store Sal. October 29: Stockholm. Konserthusets Stora Sal Fredagen. November 2: Stockholm. Konserthusets Stora Sal Fredagen. November 3: Oslo. Universietets Aula. November 7: Oslo. Universietets Aula. November 12: Riga. Amatnieku Biedrības zālē. November 14: Riga. Amatnieku Biedrības zālē. November 18: Hamburg. Musikhalle, grosser Saal. November 19: Frankfurt. Grosser Saal des Saalbaues. January 11: Barcelona. Palau de la Música Catalana. January 14: Coruña. Teatro Rosalia Castro. January 17: Valencia. Teatro Principal. January 18: Madrid. Teatro de la Comedia. January 21: Madrid. Teatro de la Comedia. February 3: Alexandria. Théatre Alhambra. February 5: Alexandria. Théatre Alhambra. February 6: Cairo. Théatre Royal de l’Opéra. February 7: Cairo. Théatre Kursaal Dalbagni. February 19: Bombay. Excelsior Theatre. February 20: Bombay. Excelsior Theatre. February 22: Bombay. Excelsior Theatre. March 1: Calcutta. Empire Theatre. March 3: Calcutta. Empire Theatre. March 15: Singapore. Victoria Theatre. April ? : Baggio. Camp John Hay. May 24: Sydney. Town Hall. May 28: Sydney. Town Hall. May 31: Sydney. Town Hall. October 16: San Francisco, California. Columbia Theatre. October 18: Oakland, California. Auditorium Theatre. October 20: Los Angeles, California. Philharmonic Auditorium. October 21: Pomona, California. High School Auditorium. October 25: El Paso, Texas. Liberty Hall. October 28: Tucson, Arizona. Temple of Art and Music. October 31: Los Angeles, California. Philharmonic Auditorium. November 2: San Diego, California. Spreckels Theatre. November 6: San Francisco, California. Columbia Theatre. November 8: Seattle, Washington. Metropolitan Theatre. November 14: Portland, Oregon. Municap Auditorium. November 24: Mexico City. Teatro Arbeu. November 27: Mexico City. Teatro Arbeu. November 30: Mexico City. Teatro Arbeu. December 2: Mexico City. Teatro Arbeu. December 4: Mexico City. Teatro Arbeu. December 6: Guadalajara. Teatro Degollado. December 9: Mexico City. Teatro Esperanza Iris. December 11: Mexico City. Teatro Esperanza Iris. December 13: Monterrey. Teatro Independencia. January 4: New York. Carnegie Hall. January 6: Princeton, New Jersey. Alexander Hall. January 12: Rochester, New York. Eastman Theatre. January 13: Buffalo, New York. January 16: Detroit, Michigan. Arcadia Auditorium. January 18: Grand Rapids, Michigan. Grand Rapids Armory. January 20: Kalamazoo, Michigan. High School Auditorium. January 23: Lansing, Michigan. Prudden Auditorium. January 25: Minneapolis, Minnesota. University of Minnesota, University Armory. January 27: Milwaukee, Wisconsin. Auditorium. January 28: Lansing, Michigan. Prudden Auditorium. February 3: Montclaire, New Jersey. February 5: Philadelphia, Pennsylvania. Stanley Theatre. February 7: Washington, D.C. Poli’s Theatre. February 11: Roanoke, Virginia. City Auditorium. February 25: Havana. Teatro Payret. February 28: Havana. Teatro Payret. March 4: Miami Beach, Florida. March 18: Boston. Symphony Hall. March 21: St. Louis, Missouri. March 25: Chicago, Illinois. Auditorium Theatre. March 28: New London, Connecticut. March 30: New York. Carnegie Hall. New York Symphony Orchestra. Enrique F.
April 1: New York. Mecca Auditorium. New York Symphony Orchestra. Enrique F.
April 8: Indianapolis, Indiana. Murat Theatre. April 10: Pittsburgh, Pennsylvania. Carnegie Music Hall. April 12-13: Cleveland, Ohio. Cleveland Orchestra. Nikolai Sokoloff, conductor. April 15: New York. Carnegie Hall. April 18: Bloomington, Indiana. Indiana University, Men’s Gymnasium. April 20: Wilkes-Barre, Pennsylvania. Irem Temple. April 29: Montreal, Quebec. Théâtre Princess. June 3: London. Royal Albert Hall. June 19: Paris. Théatre National de l’Opéra. October 5: Edinburgh. Usher Hall. October 7: London. Royal Albert Hall. October 11: London. Queen’s Hall. October 16: Paris. Théatre National de l’Opéra. October 24: Geneva. Victoria Hall. October 26: Vienna. Grosser Konzerthaus-Saal. November 28: London. Alexandra Palace. January 4: Syracuse, New York. Mizpah Auditorium. January 7: Johnstown, Pennsylvania. Cochran Junior High School Auditorium. January 9: Cleveland, Ohio. New Music Hall. January 11: Orange, New Jersey. Orange High School Auditorium. January 13: Boston, Massachusetts. Symphony Hall. January 15: Washington, D.C. Poli’s Theatre. January 18: Lancaster, Pennsylvania. Fulton Theatre. January 21: Toronto, Ontario. Massey Hall. January 22: Akron, Ohio. Akron Armory. January 26: New York. Carnegie Hall. February 11: Appleton, Wisconsin. Lawrence Memorial Chapel. February 15-16: Saint Louis, Missouri. Odeon. Saint Louis Symphony Orchestra. February 18: Fort Wayne, Indiana. February 24: Chicago, Illinois. Auditorium Theatre. February 25: Detroit, Michigan. Masonic Auditorium. February 27: Boston, Massachusetts. Hotel Statler Ballroom. March 2: New York. Carnegie Hall. March 4: Troy, New York. Music Hall. March 6: Knoxville, Tennessee. Lyric Theatre. March 11: Providence, Rhode Island. Infantry Hall. March 12: Waterbury, Connecticut. Buckingham Hall. March 15-16: Boston, Massachusetts. Symphony Hall. Boston Symphony Orchestra. April 2: Little Rock, Arkansas. April 4: Dallas, Texas. Fair Park Auditorium. April 8: Houston, Texas. City Auditorium. April 14: San Francisco, California. Curran Theatre. April 18: Los Angeles, California. Philharmonic Auditorium. May 24: London. Queen’s Hall. May 29: Antwerp. Salle des Fêtes de la Société de Zoologie. May 31: London. Queen’s Hall. June 4: Paris. Théatre National de l’Opéra. June 11: Paris. Théatre National de l’Opéra. January 14: Pittsburgh, Pennsylvania. Syria Mosque. January 16: Ann Arbor, Michigan. Hill Auditorium. January 17: Saginaw, Michigan. Auditorium. January 20: Cleveland, Ohio. New Music Hall. January 21: New York. Carnegie Hall. January 23: Washington, D.C. The White House. January 25: Washington, D.C. Constitution Hall. February 10: Richmond, Virginia. Mosque Theatre. February 19: New York. Carnegie Hall. February 21: Rochester, New York. Eastman Theatre. February 23: Chicago, Illinois. Civic Opera House. March 3: Reading Pennsylvania. Strand Theatre. March 9: Philadelphia, Pennsylvania. Penn Athletic Club. March 21: Exeter, New Hampshire. The Phillips Exeter Academy. March 23: Hartford, Connecticut. Horace Bushnell Memorial Hall. April 14: New York. Beethoven Association. May 13: London. Queen’s Hall. May 19: Paris. Grande Salle Pleyel. May 26: Paris. Grande Salle Pleyel. May 27: London. Queen’s Hall. August 15: Gloucester, Massachusetts. Stillington Hall. October 20: Winnetka, Illinois. New Trier High School. October 23: Urbana, Illinois. The Auditorium. October 24: Quincy, Illinois. Quincy College. October 25: Sioux City, Iowa. Auditorium. October 27: Janesville, Wisconsin. The Apollo Club. October 28: Flint, Michigan. Auditorium. October 29: Mount Vernon, Ohio. Memorial Theatre. October 31: Cedar Rapids, Iowa. Memorial Coliseum. November 2: Chicago, Illinois. Orchestra Hall. November 4: Oberlin, Ohio. Oberlin Conservatory of Music. Finney Memorial Chapel. November 6: New Haven, Connecticut. Yale University. Woolsey Hall. November 7: Norwich, Connecticut. The Slater Memorial Hall. November 10: New York. Carnegie Hall. November 14: Andover, Massachusetts. George Washington Hall. November 18: Kansas City, Missouri. Convention Hall. November 20: Chicago, Illinois. Crystal Ballroom, The Blackstone. November 21: Northfield, Massachusetts. Carlton College, Skinner Memorial Chapel. November 24: Winnipeg, Manitoba. Central Church. December 6: Santa Barbara, California. Lobero Theatre. December 8: Los Angeles, California. Philharmonic Auditorium. December 10: San Francisco, California. Scottish Rite Hall. December 11: Stockton, California. High School Auditorium. December 12: Sacramento, California. Memorial Auditorium. December 15: Seattle, Washington. University of Washington. piano. From Station WJZ, 711 5th Avenue. NBC. January 5: New York. Carnegie Hall. January 10: Philadelphia, Pennsylvania. Academy of Music. January 13: Northampton, Massachusetts. Smith College, John M. Greene Hall. January 21: Chicago, Illinois. Orchestra Hall. January 22: Delaware, Ohio. Gray Chapel. February 1: Boston, Massachusetts. Symphony Hall. February 12: Lynchburg, Virginia. Smith Memorial Auditorium. February 13: Charlottesville, Virginia. University of Virginia, Cabell Hall. February 19: Ithaca, New York. Cornell University, Bailey Hall. February 27-28: Boston, Massachusetts. Symphony Hall. Boston Symphony Orchestra. March 5 and 7: Cleveland, Ohio. Cleveland Orchestra. Nikolai Sokoloff, conductor. March 10: Columbus, Ohio. Cleveland Orchestra. Nikolai Sokoloff, conductor. March 17: Grand Rapids, Michigan. March 22: New York. Carnegie Hall. April 14: Philadelphia, Pennsylvania. Academy of Music. May 12: London. Queen’s Hall. May 14: Paris. Théatre National de l’Opera. May 19: Brussels. Grande Salle des Palais des Beaux-Arts. May 20: Antwerp. Théatre Royal Français. September 1: Hollywood, California. Hollywood Bowl. Los Angeles Philharmonic. Artur Rodzinski, conductor (also solos with Isidor Achron, piano). November 11: Tientsen. Gaiety Theatre. November 13: Peking. Grand Hotel. November 14: Tientsen. Gaiety Theatre. November 20: Shanghai. Strand Theatre. November 25: Shanghai. Strand Theatre. November 29: Shanghai. Strand Theatre. December 1: Shanghai. Strand Theatre. December 4: Hong Kong. King’s Theatre. December 8: Manila. Manila Grand Opera House. December 10: Manila. Manila Grand Opera House. December 14: Manila. Manila Grand Opera House. December 16: Manila. Manila Grand Opera House. December 21: Singapore. Capitol Theatre. December 22: Singapore. Capitol Theatre. January 27: Bombay. Empire Theatre. January 28: Bombay. Empire Theatre. January 29: Bombay. Empire Theatre. February 11: Alexandria. Theatre Alhambra. February 14: Cairo. Théâtre Royal de l’Opera. February 19: Alexandria. Theatre Alhambra. February 21: Tel Aviv. Ohel-Shem Hall. February 22: Jerusalem. Edison Theatre. February 23: Tel Aviv. Ohel-Shem Hall. February 24: Jerusalem. Edison Theatre. February 25: Haifa. Ein-Dor Theatre. February 28: Cairo. Théâtre Kursaal Dalbagni. March 17: Geneva. Victoria Hall. March 18: Zürich. Tonhalle, Kleiner Saal. March 21: Brussels. Grande Salle du Palais des Beaux-Arts. March 25: Paris. Concerts Colonne. François Ruhlmann, conductor. April 4: Vienna. Grosser Konzerthaus-Saal. April 11: Florence. Teatro della Pergola. April 15: Naples. Teatro San Carlo. April 17: Milan. Sala Grande del Conservatorio G. Verdi. April 21: Oviedo. Teatro Campoamor. April 23: Lisbon. Teatro de S. Carlos. April 24: Lisbon. Teatro de S. Carlos. April 27: Madrid. Teatro de la Comedia. May 4: Warsaw. Sala Filharmonji. May 5: Łódź. Sala Filharmonji. May 6: Kraków. Stary Teatr. May 10: Paris. Théatre National de l’Opera. June ? : East London. September 20: Hollywood, California. Hollywood Bowl. Los Angeles Philharmonic. October 3: Montreal, Quebec. Théâtre His Majesty’s. October 9: Mount Kisco, New York. At the home of Mrs. Carll Tucker. October 11: New York. Carnegie Hall. October 14: New Brunswick, New Jersey. Rutgers University. October 16: Chicago, Illinois. Orchestra Hall. October 28: Montclair, New Jersey. Montclair High School. November 3: Winnipeg, Manitoba. The Playhouse. November 21: Pittsburgh, Pennsylvania. Syria Mosque. November 22: Cincinnati, Ohio. Music Hall. November 26: New York. Madison Square Garden. Musicians Emergency Fund. Festival Orchestra. 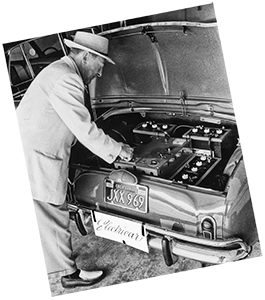 Walter Damrosch, conductor. November 30: Columbia, Missouri. University of Missouri, University Auditorium. December 1: Saint Louis, Missouri. The Odeon. December 6: Washington, D.C. Constitution Hall. December 8: Atlanta, Georgia. Auditorium. December 10: Columbus, Mississippi. Mississippi State College for Women. December 14: New Orleans, Louisiana. December 16: Memphis, Tennessee. Ellis Auditorium. session for Bell Laboratories (experimental 33 1/3 rpm recordings). January 4: Berlin. Philharmonie. Berlin Philharmonic. Hermann Abendroth, conductor. January 30: Leipzig. Städtisches Kaufhaus. February 2: Hamburg. Conventgarten, grosser Saal. February 7: The Hague. Zaal Gebouw. February 8: Frankfurt. Grosser Saalbau. February 10: Milan. Teatro del Popolo. February 14: Stuttgart. Liederhalle, Konzertsaal. February 16: Marseille. Salle Prat. February 21: Paris. Théâtre des Champs-Élysées. May 18: Ann Arbor, Michigan. May Festival. Chicago Symphony Orchestra. October 20: White Plains, New York. Westchester County Center. October 25: Oklahoma City, Oklahoma. October 27: Saint Louis, Missouri. October 29: Chicago, Illinois. Orchestra Hall. October 31: Nashville, Tennessee. Ward Belmot School Auditorium. November 10: Rochester, New York. Eastman Theatre. November 12: New York. Carnegie Hall. November 19: Washington, D.C. Constitution Hall. November 21: Philadelphia, Pennsylvania. Matinee Musical Club String Ensemble. Ben Stadt, director. Also solos with Arpad Sándòr, piano. November 24: Columbus, Ohio. Memorial Hall. December 3: Toledo, Ohio. Town Hall. December 5: Charleston, West Virginia. Recital with Olin Downes, host (“Classicism and Virtuosity of Violin Music”). Cadillac Symphony Orchestra. Bruno Walter, conductor. NBC. Memorial Auditorium. Minneapolis Symphony. Eugene Ormandy, conductor. January 4: New York. Ballroom of the Colony Club. January 7: Boston, Massachusetts. Symphony Hall. January 11: Washington, D.C. The White House. Professionals. With Lawrence Tibbett, bass and José Iturbi, piano. January 18: Durham, North Carolina. Page Auditorium, Duke University. February 25: London. Orchestra (incomplete details). March 4: Florence. Teatro Comunale. Stagione Sinfonica. Vittorio Gui, conductor. March 9: Rome. Sala di Santa Cecilia. March 11:Rome. Sala di Santa Cecilia. Orchestra of the Accademia di S. Cecilia. March 14: Budapest. Orchestra. Zsolt Nándor, conductor. March 17: Szeged. Tisza Szálló. March 26: London. Queen’s Hall. Orchestra. John Barbirolli, conductor. No. 3 Studio: Arpad Sándòr, piano. April 1: The Hague. Residentie Orchestra. Peter van Anroody, conductor. April 5: Amsterdam. Concertgebouw Orchestra. Erich Kleiber, conductor. April 11: Moscow. Abram Makaroff, piano. April 13: Moscow. Moscow Philharmonic. Orloff, conductor. April 14: Moscow. Moscow Philharmonic. Orloff, conductor. April 16: Moscow. Moscow Philharmonic. Orloff, conductor. April 18: Moscow. Moscow Philharmonic. Orloff, cond. April 22: Leningrad (St. Petersburg). April 24: Leningrad (St. Petersburg). St. Petersburg Philharmonic. Gauck, conductor. April 25: Leningrad (St. Petersburg). May 13: New York. Radio City Studios. Radio broadcast: “Hall of Fame.” Orchestra. Nathaniel Shilkret, conductor. Emanuel Bay, piano. NBC. June 5: Rio de Janeiro. Theatro João Caetano. June 9: Rio de Janeiro. Theatro João Caetano. June 11: Rio de Janeiro. Instituto Nacional de Musica. June 13: Rio de Janeiro. Instituto Nacional de Musica. June 26: Buenos Aires. Teatro Cervantes. July 1: Buenos Aires. Teatro Cervantes. July 6: Buenos Aires. Teatro Cervantes. July 8: La Plata. Teatro Argentino. July 11: Buenos Aires. Teatro Cervantes. July 9: Montevido. Teatro Solis. July 14: Buenos Aires. Teatro Cervantes. July 21: Buenos Aires. Teatro Cervantes. Benefit for the Hebrew Hospital. July 28: San Paulo. Theatro Municipal. July 31: San Paulo. Theatro Municipal. August 1: Rio de Janeiro. Instituto Nacional de Musica. August 2: San Paulo. Theatro Municipal. August 4: Rio de Janeiro. Instituto Nacional de Musica. August 8: Rio de Janeiro. Instituto Nacional de Musica. August 11: Mendoza. Teatro Palace. August 13: Santiago. Teatro Central. August 16: Santiago. Teatro Central. August 18: Valparaiso. Teatro Victoria. August 20: Santiago. Teatro Central. August 22: Santiago. Teatro Central. September 14: Mexico City. Teatro Hidalgo. September 21: Mexico City. Teatro Hidalgo. September 23: Mexico City. Teatro Hidalgo. September 24: Guadalajara. Teatro Degollado. October 4: Monterrey. Gran Teatro Independencia. Hour.” Ford Symphony Orchestra. Victor Kolar, conductor. CBS. October 17: New York. Carnegie Hall. October 30: Oberlin, Ohio. Finney Memorial Chapel, Oberlin Conservatory. November 8: Schenectady, New York. November 23-24: Boston, Massachusetts. Symphony Hall. Boston Symphony Orchestra. November 27: Kansas City, Kansas. December 3 (evening): Newburgh, New York. December 5: Newark, New Jersey. Fuld Hall. December 6: Princeton, New Jersey. McCarter Theater, Princeton University. December 10: Grand Rapids, Michigan. Civic Auditorium. December 11: Cleveland, Ohio. The Public Music Hall. December 14: Detroit, Michigan. Orchestra Hall. violin; Nicolas Moldavan, viola; Josef Schuster, cello. December 24: Philadelphia, Pennsylvania. Church Studio No. 2. Philadelphia Orchestra. Leopold Stokowski, conductor. Recording session for RCA Victor. January 3: Wilkes-Barre, Pennsylvania. Irem Temple. January 14: Salt Lake City, Utah. January 17: Seattle, Washinton. Civic Auditorium. January 19: Eugene, Oregon. McArthur Court, University of Oregon. January 22: Los Angeles, California. Philharmonic Auditorium. January 24: Pasadena, California. Pasadena Civic Auditorium. January 29: Santa Barbara, California. Lobero Theatre. January 31: San Francisco, California. February 3: Washington, D.C. Constitution Hall. February 6: Boston, Massachusetts. Hotel Statler Ballroom. Boston Morning Musicales. February 8: Rock Hill, South Carolina. February 11: Miami, Florida. The White Temple. February 16: New York. McMillan Academic Theater, Columbia University. February 24: New York. Carnegie Hall. Radio broadcast: New York Philharmonic. Orchestra. John Barbirolli, conductor. Recording session for HMV. March 15: London. Queen’s Hall. March 20: London. Queen’s Hall. BBC Symphony Orchestra. Adrian Boult, conductor. March 27: Paris. Grande Salle Rameau (Ex-Salle Pleyel). April 1: Oslo. Oslo Philharmonic. Olav Kielland, conductor. April 3: Stockholm. Stockholm Symphony. Adolf Wiklund, conductor. April 4: Copenhagen. Radio Symphony Orchestra. Nikolai Malko, conductor. April 8: Trieste. Sala del Littorio. April 10: Modena. Sala di San Vincenzo. April 11: Genoa. Teatro Carlo Felice. April 12: Ancona. Teatro Vittorio Emanuele. April 14: Naples. Teatro San Carlo. April 15: Rome. Reale Accademia. April 16: Cremona. Teatro a Ponchielli. April 17: Milan. Grande Sala del Conservatorio Giuseppe Verdi. October 9: New York. Carnegie Hall. October 10: New York. Radio broadcast: “Squibb-World Peaceways.” Orchestra. October 15: Providence, Rhode Isalnd. October 21: Chicago, Illinois. Orchestra Hall. October 23: Urbana, Illinois. The Auditorium, University of Illinois. October 29: New Haven, Connecticut. Woolsey Hall, Yale University. October 31: Brooklyn, New York. Brooklyn Institute of Arts and Sciences. November 4: Newark, New Jersey. November 13: Bristol. Colston Hall. November 14: Newcastle. City Hall. November 15: Aberdeen. Music Hall. November 16: Edinburgh. Usher Hall. November 19: Dundee. Caird Hall. November 20: Glasgow. St. Andrew’s Hall. November 22: London. Queen’s Hall. November 24: Bournemouth. Concert Hall, Bournemouth Pavilion. Orchestra. Sir Thomas Beecham, conductor. Recording session for HMV. November 29: Leeds. Town Hall. December 2: Oxford. Town Hall. December 3: Liverpool. Central Hall. December 9: Edinburgh. Edinburgh Concert Society. John Barbirolli, conductor. December 12: Nottingham. Albert Hall. December 14: Manchester. Free Trade Hall. February 11: Buffalo, New York. Elmwood Music Hall. February 20: San Francisco, California. Opera House. February 25: Los Angeles, California. Philharmonic Auditorium. February 27: Palo Alto, California. Stanford University Pavilion. March 2: Seattle, Washington. Moore Theatre. March 6: Portland, Oregon. Auditorium. March 9: Denver, Colorado. Denver Auditorium. March 17: Ithaca, New York. Cornell University. March 24: Jamestown, New York. March 26: Ottawa, Ontario. Glebe Collegiate. March 27: Montreal, Quebec. Windsor Hall. April 23: Pittsburgh, Kansas. College Auditorium, Kansas State Teachers College. October 5: Oakland, California. Oakland Auditorium Theatre. October 14: New York. Carnegie Hall. October 19: Grand Rapids, Michigan. October 27: Birmingham, Alabama. Philips Auditorium. October 31: Iowa City, Iowa. University of Iowa. November 2: Ames, Iowa. State Gymnasium. November 4: Kansas City, Missouri. Ararat Temple. November 10: Pittsburgh, Pennsylvania. Syria Mosque. November 11: New York. Town Hall. November 13: White Plains, New York. Westchester County Center. November 16: Fort Worth, Texas. November 19: New Orleans, Louisiana. November 24: Baltimore, Maryland. Lyric Theatre. National Symphony Orchestra. November 30: Ann Arbor, Michigan. Hill Auditorium, University of Michigan. December 7: Chicago, Illinois. Auditorium Theatre. December 8: Toronto, Ontario. Massey Hall. December 10: Brooklyn, New York. Brooklyn Academy of Music. December 11: Springfield, Massachusetts. Municipal Auditorium. December 14: Syracuse, New York. Lincoln Auditorium, Central High School. Ford Symphony Orchestra. José Iturbi, conductor. CBS. January 7: Utica, New York. Avon Theatre. January 8: New York. Carnegie Hall. January 11: Northampton, Massachusetts. John M. Greene Hall, Smith College. January 23: Omaha, Nebraska. Central High School. January 29: Boston, Massachusetts. Symphony Hall. Boston Symphony Orchestra. February 7: Hartford, Connecticut. Horace Bushnell Memorial Hall. February 12: Rochester, New York. Eastman Theatre. February 14: Boston, Massachusetts. Symphony Hall. February 19-20: Philadelphia, Pennsylvania. Academy of Music. Philadelphia Orchestra. February 21: Washington, D.C. Constitution Hall. February 22: Greensboro, North Carolina. February 23: Lynchburg, Virginia. Auditorium. March 6: Edinburg. Usher Hall. March 8: Dundee. Caird Hall. March 9: Aberdeen. Music Hall. March 11: London. Royal Opera House, Covent Garden. March 13: Manchester. Free Trade Hall. March 14: Liverpool. Paramount Theatre. March 15: London. EMI Studios, Abbey Road, No. 3 Studio. Emanuel Bay, piano. March 16: Middlesbrough. Town Hall. March 17: Sheffield. City Hall. March 20: Dublin. Theatre Royal. March 23: Belfast. Ulster Hall. March 30: Glasgow. St. Andrew’s Hall. April 1: Newscastle. City Hall. April 2: Birmingham. Town Hall. April 3: London. EMI Studios, Abbey Road, No. 3 Studio. Arthur Rubinstein, piano. April 4: Cardiff. Empire Theatre. April 9: London. EMI Studios, Abbey Road, No. 1 Studio: London Symphony Orchestra. John Barbirolli, conductor. Abbey Road, No. 3 Studio: Emanuel Bay, piano. April 21: New York. Ballroom, American Woman’s Club (353 W. 57th Street). May 9: Detroit, Michigan. Radio broadcast: “Ford Sunday Evening Hour.” Orchestra. June 8: Newark, New Jersey. Stadium. Essex County Symphony Orchestra. August 5-6: Philadelphia, Pennsylvania. Robin Hood Dell. Philadelphia Orchestra. August 27: Hollywood, California. Hollywood Bowl. Los Angeles Philharmonic. August 29: Chicago, Illinois. Grant Park Band Shell. Chicago Symphony Orchestra. October 24: Chicago, Illinois. Civic Opera House. October 26: Baton Rouge, Louisiana. November 3: New York. Carnegie Hall. Chesterfield Radio Program.” Orchestra. Andre Kostelanetz, conductor. December 3: Columbia, Missouri. University of Missouri. December 5: Indianapolis, Indiana. English Theatre. December 8: Lawrence, Kansas. University of Kansas. December 14: Hamilton, New York. Colgate University. December 17-18: Boston, Massachusetts. Symphony Hall. Boston Symphony Orchestra. December 20-21: Boston, Massachusetts. Symphony Hall. Boston Symphony Orchestra. Serge Koussevitzky, conductor. Recording session for RCA Victor. December 23: Detroit, Michigan. Detroit Symphony Orchestra. Victor Kolar, conductor. January 2: Washington, D.C. Constitution Hall. Symphony Orchestra. Pierre Monteux, conductor. January 17: Winnetka, Illinois. New Trier High School. January 21: Philadelphia, Pennsylvania. Academy of Music. February 1: Brooklyn, New York. Brooklyn Institute of Arts and Sciences. Orchestra. José Iturbi, conductor. CBS. February 14: Kansas City, Missouri. Municipal Auditorium. Sascha Jacobsen, Leon Barzin, and Marjorie Lawrence. March 12: Budapest. Budapest Philharmonic. Paul Breisach, conductor. March 17: Paris. Théatre National de l’Opéra. April 24: Chicago, Illinois. Civic Opera House. April 27: New York. Carnegie Hall. NBC Symphony. Artur Rodzinsky, conductor. April 30: Norwalk, Connecticut. High School Auditorium. Benefit Concert. filming for the movie, “They Shall Have Music.” Los Angeles Philharmonic. Alfred Newman, conductor. Emanuel Bay, piano. November 1: New Haven, Connecticut. Woolsey Hall, Yale University. November 4: Cleveland, Ohio. Cleveland Museum of Art. November 6: Boston, Massachusetts. Symphony Hall. November 9: New York. Carnegie Hall. November 25: Rochester, New York. Eastman Theatre. December 4: Chicago, Illinois. Civic Opera House. December 5: Dayton, Ohio. Memorial Hall. December 7: New York. Carnegie Hall. Benefit concert. December 15: Atlanta, Georgia. City Auditorium. January 9: San Francisco, California. War Memorial Opera House. January 11: Pullman, Washington. Men’s Gymnasium, State College of Washington. January 13: Seattle, Washington. Moore Theatre. January 14: Vancouver, British Columbia. January 16: San Jose, California. January 17: Los Angeles, California. January 19: San Diego, California. January 20: Long Beach, California. Polytechnic Auditorium. January 30: Richmond, Virginia. The Mosque. February 1: Charleston, South Carolina. February 7: Pittsburgh, Pennsylvania. Syria Mosque. February 10: Philadelphia, Pennsylvania. Academy of Music. February 11: Philadelphia, Pennsylvania. Academy of Music. February 13: Hampton, Virginia. Ogden Hall. February 15: New York. Town Hall. February 19: Washington, D.C. Constitution Hall. February 20: West Chester, Pennsylvania. Philips Memorial, State Teachers College. February 21: Buffalo, New York. February 23: Detroit, Michigan. Detroit Symphony Orchestra. Victor Kolar, conductor. Koussevitzky, conductor. Recording session for RCA Victor. November 1: Toronto, Ontario. Massey Hall. November 9: Mount Holyoke, Massachusetts. Chapin Auditorium. November 11: New York. Radio broadcast: “Red Broadcast Fundraising Program.” NBC. November 12: Boston, Massachusetts. Symphony Hall. November 16: Philadelphia, Pennsylvania. Academy of Music. December 1: Oxford, Ohio. Withrow Court, Miami University. December 3: Evanston, Illinois. Auditorium, Theatre. Northwestern University. December 6: New York. Carnegie Hall. Marjorie Lawrence, and Vronsky and Babin. December 21: Philadelphia, Pennsylvania. Academy of Music. Philadelphia Orchestra. and sisters, Elza and Pauline, also participated, as did Samuel Chotzinoff. Heifetz played in an an orchestra of “students” conducted by Arturo Toscanini. Emanuel Feuermann, Alfred Wallenstein, and John Wummer. January 9: Seattle, Washington. Meany Hall, University of Washington. January 16: Denver, Colorado. Denver Auditorium. January 21-22: Dallas, Texas. Dallas Symphony Orchestra. January 29: Salt Lake City, Utah. February 9-10: Boston, Massachusetts. Symphony Hall. Boston Symphony Orchestra. February 20: Baltimore, Maryland. Lyric Theatre. February 24: New York. McMillin Academic Theater, Columbia University. March 2: Kingston. Carib Theatre. March 3: Kingston. Carib Theatre. conductor. Recording session for RCA Victor. April 1: Mayaguez. Teatro Auditorium. April 2: Ponce. Teatro Fox-Delicias. April 3: San Juan. Auditorium de la Universidad. April 4: Port-of-Spain. Princes Building. April 5: Caracas. Teatro Municipal. April 7: Caracas. Teatro Municipal. April 8: Curaçao. Stadsschouwburg Roxy. April 9: Maracaibo. Teatro Baralt. April 10: Caracas. Teatro Municipal. April 11: Port-of-Spain. Princes Building. April 12: Belém. Teatro da Paz. April 13: Pernambuco. Teatro Santa Isabel. April 16: Rio de Janeiro. Teatro Municipal. April 18: Rio de Janeiro. Teatro Municipal. April 20: Rio de Janeiro. Teatro Municipal. April 21: Rio de Janeiro. Teatro Municipal. April 23: Sao Paulo. Teatro Municipal. April 25: Sao Paulo. Teatro Municipal. April 27: Buenos Aires. Teatro Colon. April 30: Buenos Aires. Teatro Colon. May 2: Montevideo. Teatro Solis. May 4: Buenos Aires. Teatro Colon. May 7: Santa Fe. Teatro Colon. May 9: Buenos Aires. Teatro Colon. May 12: Buenos Aires. Teatro Colon. May 13: Montevideo. Teatro Solis. Nay 15: Buenos Aires. Teatro Colon. May 18: Buenos Aires. Teatro Colon. May 19: Rosario. Teatro Colon. May 22: Córdoba. Real Cine Theatre. May 25: Bahia Blanca. Sala de Actos de la Biblioteca. May 26: Buenos Aires. Teatro Colon. May 28: Buenos Aires. Radio broadcast. May 30: Mendoza. Gran Cine Avenida. June 1: Santiago. Teatro Municipal. June 2: Santiago. Teatro Municipal. June 4: Santigao. Teatro Municipal. June 5: Santiago. Teatro Municipal. June 8: Lima. Teatro Municipal. June 9: Lima. Teatro Municipal. June 13: Quito. Teatro Sucre. June 15: Bogota. Teatro Colon. June 16: Medellin. Teatro Bolivar. June 17: Bogota. Teatro Colon. June 18: Panama City. Teatro Nacional. June 19: San Jose. Teatro Nacional. June 20: San Jose. Teatro Nacional. June 22: Mexico City. Palacio de Bellas Artes. June 23: Mexico City. Palacio Chino. Orchestra. Fritz Reiner, conductor. CBS. October 21: Columbus, Ohio. Memorial Hall. October 25-26: Philadelphia, Pennsylvania. Academy of Music. Philadelphia Orchestra. October 30: New York. Carnegie Hall. November 4: Columbia, South Carolina. Township Auditorium. November 6: Newark, New Jersey. Mosque Theatre. November 12: Ithaca, New York. Bailey Hall, Cornell University. December 4: Troy, New York. Troy Theatre. December 7: New York. Carnegie Hall. December 10: Charlotte, North Carolina. City Auditorium. December 13: New Orleans, Louisiana. December 15: Oklahoma City, Oklahoma. Municipal Auditorium. December 22: New York. Dinner by “The Bohemians” honoring Fritz Kreisler. Heifetz performed, as did Gregor Piatigorsky and Lotte Lehman. January 15: Seattle, Washington. Moore Theatre. January 20: Fresno, California. White Theatre. January 21: San Francisco, California. War Memorial Opera House. January 28: San Antonio, Texas. San Antonio Municipal Auditorium. January 31-February 1: Indianapolis, Indiana. Indianapolis Symphony Orchestra. February 9: Hartford, Connecticut. Horace Bushnell Memorial Hall. February 15: Minneapolis, Minnesota. University of Minnesota. Goosens, conductor. Recording session for RCA Victor. February 20: Philadelphia, Pennsylvania. Academy of Music. February 23: Washington, D.C. Constitution Hall. February 25: Providence, Rhode Island. March 4: Buffalo, New York. Kleinhans Music Hall. March 25: State College, Pennsylvania. Schwab Auditorium, Pennsylvania State College. May 21: New York. Plaza Hotel. Benefit for Musicians’ Emergency Fund. May 28: New York. Lotos Club. Musical Art Quartet. Jesús María Sanromá, piano. Recording session for RCA Victor. September 8-9: Hollywood, California. RCA Studios. William Primrose, viola. Emanuel Feuermann, cello. Recording session for RCA Victor. September 11-13: Hollywood, California. RCA Studios. Arthur Rubinstein, piano. Sponsored by the U.S. Treasury Department to Support Sale of Defense Bonds. January 23: Camp Robert, California. USO Concert. January 26: Tucson, Arizona. Temple of Music and Art. February 5: Philadelphia, Pennsylvania. Academy of Music. February 10: Washington, D.C. Constitution Hall. February 14: Milwaukee, Wisconsin. Milwaukee Auditorium. February 15: Chicago, Illinois. Civic Opera House. February 16: New Haven, Connecticut. Woolsey Hall, Yale University. February 18: Boston, Massachusetts. Hotel Statler Ballroom. Boston Morning Musicale. February 19: Toronto, Ontario. Eaton Auditorium. February 21: Toronto, Ontario. Eaton Auditorium. February 25: Beaumont, Texas. Beaumont City Auditorium. March 2: Detroit, Michigan. Masonic Auditorium. March 4: New York. Carnegie Hall. March 5: Pittsburgh, Pennsylvania. Syria Mosque. March 6: White Plains, New York. Westchester County Center. March 9: Louisville, Kentucky. Louisville Memorial Auditorium. March 11: Lincoln, Nebraska. St. Paul’s Church. March 12: Sioux City, Iowa. Orpheum Theatre. March 14: Camp Grant, Illinois. USO Concert. March 24: Saint Louis, Missouri. Municipal Auditorium Opera House. July 7: Terminal Island, California. USO Concert for Navy. skit and duet with Jack Benny. CBS. Symphony of Los Angeles. recording session for RCA Victor. July 21: Santa Ana, California. USO Concert for Air Force Camp. August 14-15: Hollywood, California. Hollywood Bowl. Los Angeles Philharmonic. September 1: San Diego, California. USO Concert for Army. September 2: San Diego, California. Camp Kidd. USO Concert for Navy. October 5: Hollywood, California. Radio broadcast: “The Telephone Hour.” Orchestra. October 11: San Diego, California. Russ Auditorium. October 14: San Luis Obispo, California. USO Concert. October 15: Camp Cooke, California. USO Concert. October 16: Fort Ord, California. USO Concert. October 20: Vancouver, British Columbia. Strand Theatre. October 21: Tacoma, Washington. Fort Lewis. USO Concert. October 22: Seattle, Washington. Moore Theatre. October 24: Portland, Oregon. Public Auditorium. October 29: Palo Alto, California. Memorial Hall, Stanford University. October 30: Treasure Island, California. Naval Base. USO Concert. November 2: San Francisco, California. War Memorial Opera House. November 12: Baltimore, Maryland. Lyric Theatre. National Symphony Orchestra. November 13: Montclair, New Jersey. Montclair High School Auditorium. November 17: New York. Carnegie Hall. November 19: Savannah, Georgia. Municipal Auditorium. November 21: Atlanta, Georgia. City Auditorium. November 24 through December 15: concerts postponed. January 6: Newark, New Jersey. Mosque Theatre. January 11: Durham, North Carolina. Page Auditorium, Duke University. January 17: Washington, D.C. Constitution Hall. January 19: Cincinnati, Ohio. Taft Auditorium. February 12: Midland, Michigan. High School Auditorium. February 14: Chicago, Illinois. Civic Opera House. February 16: Ann Arbor, Michigan. Hill Auditorium. University of Michigan. February 19: Rochester, New York. Eastman Theatre. February 23: Camp Murphy, Florida. USO Concert. February 25: Northampton, Massachusetts. John M. Greene Hall, Smith College. March 2: Oberlin, Ohio. Finney Memorial Chapel, Oberlin Conservatory of Music. March 8: Fort Benning, Georgia. USO Concert. March 9: Birmingham, Alabama. Municipal Auditorium. March 25: Providence, Rhode Island. Metropolitan Theatre. U.S. War Bond Concert. March 26: Fort Devens, Massachusetts. Lovell General Hospital. USO Concert. April 26: Hollywood, California. Radio broadcast: “The Telephone Hour.” Orchestra. July 5: Hollywood, California? Radio broadcast: “The Telephone Hour.” Orchestra. August 5: Mare Island, California. Naval Base and two hospital wards. USO Concerts. August 6: Oakland, California. Oak Knoll Naval Hospital and 3 wards. USO Concerts. August 7: Modesto, California. Hammond General Hospital. 2 concerts. USO Concerts. August 8: Santa Barbara, California. Hoff General Hospital and 4 wards. USO Concerts. August 9: Long Beach, California. Naval Hospital. USO Concert. August 10: San Diego, California. Naval Hospital. USO Concert. August 11: Palm Springs, California. Torney General Hospital. USO Concert. August 30: Hollywood, California. Radio broadcast: “Telephone Hour.” Orchestra. September 14: Isthmus, California. Maritime and Coast Guard. USO Concert. September 15: Avalon, California. Maritime. USO Concert. September 16: Santa Ana, California. Air Base Hospital. November 7: Ancón, Canal Zone. USO. November 9: Madden Field. USO. November 10: Camp Paraiso. “3 Coast Artilleries.” USO. November 11: “2 C. Artilleries.” USO. November 12: Fort Clayton. “2 C.A.” USO. November 13: Camp Pacora. “C.A.” USO. November 14: Taboga Island Naval Station. USO. November 15: Fort Clayton Hospital; Corozal. USO. November 16: Fort Kobbe. “2 C.A.” USO. November 17: Fort Amador; 15th Naval Headquarters. USO. November 18: “2 C.A.” USO. November 19: West Bank Naval Station. “C.A.” USO. November 20: Summit Naval Station. USO. November 22: Rio Hato. USO. November 23: La Chorerra. USO. November 24: “2 C.A.” USO. November 27: Galápagos Islands. USO. November 28: Las Salinas. USO. November 30: Fort Gulick Hospital. USO. December 1: Fort Davis. “2 C.A.” USO. December 2: Fort Sherman. “2 Perf.” USO. December 3: “3 C.A.” USO. December 5: Puerto Castilla. USO. December 6: “Naval Station Hospital.” USO. December 7: “2 C.A.” USO. December 8: France Field Naval Air Station. USO. December 9: “3 C.A.” USO. December 10: Submarine Base at Coco Solo. USO. February 15: Los Angeles, California. Philharmonic Auditorium. February 16: San Francisco, California. War Memorial Opera House. February 17: Sacramento, California. Sacramento Memorial Auditorium. February 19: Portland, Oregon. Portland Public Auditorium. February 20: Seattle, Washington. Naval Hospital. USO Concert. February 21: Seattle, Washington. Moore Theatre. February 24: Denver, Colorado. Denver Auditorium. February 27: Chicago, Illinois. Civic Opera House. February 28: Detroit, Michigan. Masonic Auditorium. March 1: New York. Carnegie Hall. March 5: Boston, Massachusetts. Symphony Hall. March 8: Fort Wayne, Indiana. March 14: Akron, Ohio. Akron Armory. March 16: Columbus, Ohio. Memorial Hall. March 19: “Thager General Hospital.” USO. March 21: Dayton, Ohio. Memorial Hall. March 23: Philadelphia, Pennsylvania. Academy of Music. March 26: Washington, D.C. Constitution Hall. March 28: Brooklyn, New York. Brooklyn Academy of Music. April 9: New York. NBC Studio 8-H. Radio broadcast: NBC Symphony Orchestra. May 3: Mexico City. Bellas Artes. May 5: Mexico City. Bellas Artes. May 9: Mexico City. Bellas Artes. May 11: Mexico City. Bellas Artes. May 14: Mexico City. Teatro Metropolitan. June 10: Oran. “Field Hanger perf.” USO. June 12: Algiers. “Theatre (aft.) Theatre (eve.). USO. June 13: Cagliari. “Theatre at field.” USO. June 14: Cagliari. “Theatre in town.” USO. June 16: Naples. “23d Gen. Hospital.” USO. June 17: “Hospital (aft.) Theatre (eve.). USO. June 19: “Medical Centre (aft.) – [illegible] The. (eve. ).” USO. June 20: “Hospital (aft.) – Air Force – Aversa (eve. ).” USO. June 21: “Ordnance Force – Cassata.” USO. June 22: “300th General Hosp. (aft.) – Palm The. (eve. ).” USO. June 23: Naples. “San Carlo Opera House (eve. ).” USO. June 25. Bari. “26th General Hospital.” USO. June 26: “Enlisted Men’s Red Cross (aft.) – Sp. Service Theatre (eve. ).” USO. June 27: “41st Air Depot.” USO. June 28: “22nd Replacement Center.” USO. June 30: “61st Sta. Hospital (aft.) – Flogella The. Red Cross (eve. ).” USO. July 1: “American Red Cross.” USO. July 2: San Severo. Afternoon and evening. USO. July 3: Vasto. “British Palestinian (aft. ).” USO. July 3: Cerignola. Evening. USO. July 7: Rome. “Forum – Stadium (eve. ).” USO. July 8: Rome. Opera House. Afternoon. USO. shortwave radio and broadcast in the United States on NBC. July 10: Grosseto. “Sick – Hives.” USO. July 13: “3d Convalescent Hospital.” USO. July 14: “16th Evac. Hospital (aft.) – Grosseto The. (eve. ).” USO. July 15: 39th Infantry Regiment. USO. July 16: “Field (front) – aft. – Sienna The. (eve. ).” USO. July 17: “#2 Corps (in the open. )” USO. July 22: Naples. Palm Theatre. With orchestra. Afternoon. USO. July 23: Naples. “On board cruiser ‘Brooklyn.’” USO. July 31: Philadelphia, Pennsylvania. Robin Hood Dell. Robin Hood Dell Orchestra. August 2: Brooklyn, New York. Brooklyn Naval Hospital. USO Concert. August 4: Staten Island, New York. Halloran Hospital. USO Concert. August 21: Hollywood, California. Radio broadcast: “The Telephone Hour.” Orchestra. October 16-18: New York. World Broadcasting Decca Studios. Milton Kaye, piano. November 11: Hollywood, California. Masquers Club. “Army & Navy.” USO Concert. November 26: San Diego, California. Russ Auditorium. Los Angeles Philharmonic. December 1-2: Philadelphia, Pennsylvania. Academy of Music. Philadelphia Orchestra. December 13: Hines, Illinois. Vaughn General Hospital. USO Concert. December 14-15: Chicago, Illinois. Orchestra Hall. Chicago Symphony Orchestra. December 21: San Francisco, California. San Francisco Symphony Orchestra. December 23: San Francisco, California. San Francisco Symphony Orchestra. January 14: New York. Carnegie Hall. Radio broadcast: New York Philharmonic. of Minnesota. Minneapolis Symphony Orchestra. Dimitri Mitropoulos, conductor. January 28: Minneapolis, Minnesota. Opera House. Minneapolis Symphony Orchestra. Voorhees, conductor. Milton Kaye, piano. NBC. February 2-4: Pittsburgh, Pennsylvania. Syria Mosque. Pittsburgh Symphony Orchestra. February 9: Boston, Massachusetts. Symphony Hall. Boston Symphony Orchestra. February 10 (afternoon): Boston, Massachusetts. Symphony Hall. Emanuel Bay, piano. February 16: Montreal, Quebec. Theatre St. Denis. Montreal Symphony Orchestra. February 22 and 24: Cleveland, Ohio. Severance Hall. Cleveland Orchestra. March 11: Corpus Christi, Texas. USO Concert. March 17: Mitchel Field, Long Island, New York. Air Corps. USO Concert. April 6: Stephenville, Newfoundland. “Field.” USO. April 8-9: It is not clear whether Heifetz performed on these dates. USO. April 10-13: It is not clear whether Heifetz performed on these dates. USO. April 16: Paris. “40th General Hospital (le Vesinet) – Paris.” USO. April 19: “94th Div.” USO. April 20: “Airborne (82nd) # 28th Div.” USO. April 21: “15th Headquarters.” April 19-21 are marked “15th Army.” USO. April 24: “9th Army – Rear – Headquarters.” USO. April 26: “30th Division – XIX Corps.” USO. April 27: “9th A. former – XIX Corps.” USO. April 28: “2nd Armored Div.” USO. April 29: “83d Division – Specially good.” USO. April 30: “5th Armored Division – XIII Corps.” USO. May 1: “29th Div. – XIIIth.” USO. May 2: “84th Div.” USO. May 3: “102nd Div.” USO. May 4: “30th Div. – # 35th Div.” USO. May 6: “Triple A Group – # A-A-A Group XVIth.” USO. May 7: “79th Div. Extra good.” USO. May 8: “XVIth Corps H-quarters – very good.” USO. [VE Day]. May 12: “A.S.C.Z. – eve, – night.” USO. May 13: “A.S.C.Z. eve. near Bonn.” USO. May 15: “A.S.C.Z. (Fulda).” USO. General Omar Bradley for the generals of the Soviet Army at Bad Wildungen. Orchestra, Mickey Rooney, the Kayne Trio, and G.I. Jive. USO. May 18: “12th Army (Wiesbaden).” USO. May 20: “7th Army (Conad) – Mannhein.” USO. May 22: “100th Div. – Geislingen.” USO. May 23: “100th Div. – Schwabisch Gmund.” USO. May 25: “Airborne Corps – (18th) Epernay.” USO. May 29: [travel to Reims]. May 31: “Hospital # Night Perf. (Loissons).” USO. June 1: “Oise Section – [illegible]. Fine.” USO. June 3: “9th Air Force.” Bruxelles.” USO. June 8: “Bad Kissingen.” USO. June 11: Paris. “Seine Section (Palais de Chaillot).” USO. June 12: Paris. “Seine Section (Palais de Chaillot).” USO. June 13: Paris. “Seine Section (Palais de Chaillot).” USO. June 14: Paris. “Very good – Seine Section (Palais de Chaillot).” USO. June 16: “Delta Base Section – Marseille.” USO. June 17: “”43d Gen. Hosp. # Staging Area – Bad? !” USO. June 19: “Nice – Red Cross.” USO. June 20: “Depart for U.K. – Bovington Field A.F.C.” USO. June 23: “Great Malvern. 93rd Hosp. # Gen. Hosp. 53rd.” USO. June 24: “Gen. Hosp. 279th # Gen. Hosp. 114th.” USO. June 26: London, “Scala Theatre.” USO. June 27: “[illegible] Hospital (near London) – aft.” USO. July 16: Hollywood, California. Radio broadcast: “The Telephone Hour.” Orchestra. Voorhees, conductor. Emanuel Bay, piano. NBC. November 28-30: New York. World Broadcasting Decca Studios. Emanuel Bay, piano. December 1: New York. World Broadcasting Decca Studios. Emanuel Bay, piano. Orchestra. William Steinberg, conductor. ABC. January 2: Pasadena, California. Pasadena Civic Auditorium. January 3: Los Angeles, California. January 5: Sacramento, California. Memorial Auditorium. January 6: San Francisco, California. War Memorial Opera House. January 8: Portland, Oregon. Portland Public Auditorium. January 10: Seattle, Washington. Moore Theatre. January 15: Milwaukee, Wisconsin. Milwaukee Auditorium. January 17: East Lansing, Michigan. January 18: Ann Arbor, Michigan. Hill Auditorium, University of Michigan. January 22: Bloomington, Indiana. Indiana University. January 23: Dayton, Ohio. Memorial Hall. January 26: Pittsburgh, Pennsylvania. Syria Mosque. January 28: Toronto, Ontario. Massey Hall. January 29: Buffalo, New York. Kleinhans Music Hall. January 31: Quebec City, Quebec. Theatre Capitol. February 6: New York. Carnegie Hall. February 11: Providence, Rhode Island. February 12: New Haven, Connecticut. Woolsey Hall, Yale University. February 14: Philadelphia, Pennsylvania. Academy of Music. February 15: New York. Assembly Hall, Hunter College. February 17: Washington, D.C. Constitution Hall. February 16: New York. World Broadcasting Decca Studios. Emanuel Bay, piano. February 19: Newark, New Jersey. Mosque Theatre. February 22: Columbia, South Carolina. Township Auditorium. March 1: El Paso, Texas. March 5: Long Beach, California. Municipal Auditorium. March 6: Los Angeles, California. Philharmonic Auditorium. March 9: San Diego, California. Russ Auditorium. March 25: Hollywood, California. Radio broadcast: “The Telephone Hour.” Orchestra. May 8: Santiago. Teatro Cuba. May 13: Havana. Teatro Auditorium. July 13: Los Angeles, California. Decca Studios. Bing Crosby, vocal. Orchestra. Victor Young, conductor. Recording session for Decca. Orchestra. Donald Voorhees, conductor. NBC. October 14: Hollywood, California. RCA Studios. RCA Victor Chamber Orchestra. October 19: Hollywood, California. RCA Studios. RCA Victor Chamber Orchestra. Weissmann, conductor. Recording session for RCA Victor. Voorhees, conductor. Recording session for RCA Victor. January 14: Washington, D.C. Constitution Hall. January 16: Philadelphia, Pennsylvania. Academy of Music. January 22: New York. Carnegie Hall. January 26: Minneapolis, Minnesota. Concert Bowl, Minneapolis Auditorium. February 13: Elmira, New York. February 23: Indianapolis, Indiana. English Theatre. February 25: Trenton, New Jersey. War Memorial Building. March 12: New Orleans, Louisiana. March 20: Birmingham, Alabama. Municipal Auditorium. March 23: Boston, Massachusetts. Symphony Hall. March 24: Patterson, New Jersey. April 1: Detroit, Michigan. Music Hall. April 7: Milwaukee, Wisconsin. Milwaukee Auditorium. April 11: Seattle, Washington. Moore Theatre. April 12: Portland, Oregon. Portland Public Auditorium. April 14: San Francisco, California. War Memorial Opera House. April 16: Los Angeles, California. Philharmonic Auditorium. April 28: Hollywood, California. Radio broadcast: “The Telephone Hour.” Orchestra. Donald Voorhees, conductor. Emanuel Bay, piano. NBC. September 12: Hollywood, California. RCA Victor Studios. Emanuel Bay, piano. des Concerts Colonne. Paul Paray, conductor. October 21: Brussels. Palais des Beaux-Arts. October 23: Zürich. Grosser Saal, Tonhalle. October 25: Geneva. Victoria Hall. October 27: Paris. Théatre National du Palais de Chaillot. Malcolm Sargent, conductor. Recording session for HMV. November 9: London. Theatre Royal, Drury Lane. Thomas Beecham, conductor. Recording session for HMV. November 29: Havana. Teatro Auditorium. December 3: Havana. Teatro Auditorium. Orchestra. Donald Voorhees, conductor. Emanuel Bay, piano. NBC. January 4: San Diego, California. Russ Auditorium. January 11: Los Angeles, California. January 20-21: Chicago, Illinois. Orchestra Hall. Chicago Symphony Orchestra. January 28 and 30: Pittsburgh, Pennsylvania. Pittsburgh Symphony Orchestra. February 1: Newark, New Jersey. Mosque Theatre. February 3: Philadelphia, Pennsylvania. Academy of Music. February 6: Boston, Massachusetts. Symphony Hall. February 9: Ottawa, Ontario. Capitol Theatre. February 12: Minneapolis, Minnesota. Concert Bowl, Minneapolis Audiorium. February 14: Detroit, Michigan. Masonic Auditorium. February 16: Cleveland, Ohio. Music Hall. February 19: Ann Arbor, Michigan. Hill Auditorium, University of Michigan. February 21: Syracuse, New York. Lincoln Auditorium, Central High School. February 23: New Haven, Connecticut. Woolsey Hall, Yale University. March 4: Clemson, South Carolina. Clemson Field House, Clemson College. March 7: New Orleans, Louisiana. March 10: Port Arthur, Texas. March 13: Dallas, Texas. Dallas Symphony Orchestra. Antal Dorati, conductor. March 15: Jacksonville, Florida. Hotel George Washington Auditorium. March 17: Orlando, Florida. Municipal Auditorium. March 20: Hartford, Connecticut. Bushnell Memorial Auditorium. March 25: New York. Carnegie Hall. March 29: Washington, D.C. Constitution Hall. April 1-2: Boston, Massachusetts. Symphony Hall. Boston Symphony Orchestra. April 9: New York. Hunter College. April 14: Milwaukee, Wisconsin. Milwaukee Auditorium. April 17: Chicago, Illinois. Orchestra Hall. April 19: Buffalo, New York. Kleinhans Music Hall. April 27: San Francisco, California. War Memorial Opera House. April 29: Bakersfield, California. Harvey Auditorium. Malcolm Sargent, conductor. Recording sessions for HMV. June 9: Croydon. Davis’ Theatre. Liverpool Philharmonic Orchestra. June 12: London. Theatre Royal, Drury Lane. June 13: London. EMI Studios, Abbey Road, Studio No. 3. Benno Moiseiwitsch, piano. June 15: Paris. Théatre National du Palais de Chaillot. June 20: Paris. Théatre National du Palais de Chaillot. July 28: Philadelphia, Pennsylvania. Robin Hood Dell. Robin Hood Dell Orchestra. August 30: Hollywood, California. Hollywood Bowl. Hollywood Bowl Orchestra. William Steinberg, conductor. Radio broadcast. October 24: Hollywood, California. Radio broadcast: “The Telephone Hour.” Orchestra. January 3: Ventura, California. Junior College Auditorium. January 10: Denver, Colorado. Denver Symphony Orchestra. Saul Caston, conductor. January 12: Tulsa, Oklahoma. Convention Hall. January 17: Kansas City, Missouri. Music Hall. January 19: Vermillion, South Dakota. Slagle Auditorium. January 22: Chicago, Illinois. Orchestra Hall. January 25: New York. Carnegie Hall. February 1: Utica, New York. Stanley Theatre. February 8: Paterson, New Jersey. February 21: Akron, Ohio. Akron Armory. February 23: Philadelphia, Pennsylvania. Academy of Music. February 28: Richmond, Virginia. The Mosque. March 3: Lafayette, Indiana. Purdue Hall of Music. March 4: Lafayette, Indiana. Purdue Hall of Music. March 6: East Lansing, Michigan. College Auditorium, Michigan State College. March 10: Columbus, Ohio. Memorial Hall. March 12: Chicago, Illinois. Orchestra Hall. March 14: Washington, D.C. Constitution Hall. March 18: New York. The Great Hall, College of the City of New York. March 19: Bronx, New York. Bronx VA Hospital. March 26: Ames, Iowa. State Gymnasium. March 27: Des Moines, Iowa. March 31: Los Angeles, California. April 11: San Francisco, California. War Memorial Opera House. April 13: Fresno, California. Warner’s Fresno Theatre. April 15: Portland, Oregon. Portland Public Auditorium. April 20: Vancouver, British Columbia. Denman Auditorium. April 21: Seattle, Washington. Civic Auditorium. April 27: Los Angeles, California. Los Angeles VA Center. May 1: Hollywood, California. Radio broadcast: “The Telephone Hour.” Orchestra. May 27: Safed. Outdoor concert (extra). May 31: Jerusalem. Israel Philharmonic Orchestra. Leonard Bernstein, conductor. June 1: Elath. Outdoor concert (extra). June 3: Tel-Aviv. Ohel-Shem Hall. June 7: Jerusalem. Edison Hall. June 9: Haifa. Armon Theatre. June 10: Tel-Aviv. Ohel-Shem Hall. Susskind, conductor. Recording sessions for HMV. William Walton, conductor. Recording sessions for HMV. August 4: Claremont, California. Little Bridges Hall. Richard Ellsasser, organ. August 23-25: Hollywood, California. RCA Studios. Arthur Rubinstein, piano. Gregor Piatigorsky, cello. Recording sessions for RCA Victor. August 28: Hollywood, California. RCA Studios. Arthur Rubinstein, piano. Gregor Piatigorsky, cello. Recording session for RCA Victor. September 2: Hollywood, California. Hollywood Bowl. Hollywood Bowl Orchestra. Serge Koussevitzky, conductor. Radio broadcast. November 29-30: Hollywood, California. RCA Studios. William Kapell, piano. Recording sessions for RCA Victor. of Minnesota. Minneapolis Symphony Orchestra. Antal Dorati, conductor. January 24: New York. Carnegie Hall. January 30: Washington, D.C. Constitution Hall. February 1: Philadelphia, Pennsylvania. Academy of Music. February 4: Boston, Massachusetts. Symphony Hall. February 6: Newark, New Jersey. Mosque Theatre. March 12: Wellesley, Massachusetts. Alumnae Hall, Wellesley College. March 14: Ann Arbor, Michigan. Hill Auditorium, University of Michigan. March 15: Detroit, Michigan. Masonic Temple. March 17: Chicago, Illinois. Orchestra Hall. March 20: Omaha, Nebraska. Central High School Auditorium. March 26: Houston, Texas. Houston Symphony Orchestra. Efrem Kurtz, conductor. April 2: Hollywood, California. Radio broadcast: “The Telephone Hour.” Orchestra. April 9: Mexico City. Palacio de Bellas Artes. April 12: Mexico City. Palacio de Bellas Artes. April 17: Mexico City. Palacio de Bellas Artes. (then the Israeli Ambassador to the United States), and Henry Morgenthau, Jr. Benefit concert launching the State of Israel Bond Issue. August 30: Hollywood, California. Hollywood Bowl. Los Angeles Philharmonic. October 8: Redlands, California. Memorial Chapel, University of Redlands. October 16: Atlanta, Georgia. Municipal Auditorium. October 23: Milwaukee, Wisconsin. Milwaukee Auditorium. October 30: New Haven, Connecticut. Woolsey Hall, Yale University. November 1: Detroit, Michigan. Detroit Symphony Orchestra. Paul Paray, conductor. November 9: Rochester, New York. Eastman Theatre. November 11: Washington, D.C. Constitution Hall. November 13: Syracuse, New York. War Memorial. November 15: Toledo, Ohio. Peristyle, Toledo Museum of Art. November 19: New York. Radio broadcast: “The Telephone Hour.” Orchestra. November 21: New York. Carnegie Hall. November 24: Houston, Texas. City Auditorium. December 9: New York. Carnegie Hall. Radio broadcast: New York Philharmonic. February 16: Pittsburgh, Pennsylvania. Syria Mosque. February 20: Washington, D.C. Constitution Hall. National Symphony Orchestra. February 21: Washington, D.C. Lisner Auditorium. National Symphony Orchestra. March 9: Chicago, Illinois. Orchestra Hall. June 19: London. Royal Festival Hall. Orchestra. June 23: London. Royal Festival Hall. October 13: Hollywood, California. Radio broadcast: “The Telephone Hour.” Orchestra. October 15-17: Hollywood, California. RCA Studios. Emanuel Bay, piano. Philharmonic. Alfred Wallenstein, conductor. Recording session for RCA Victor. January 14: Lubbock, Texas. High School Auditorium. January 27: Englewood, New Jersey. Plaza Theatre. January 29: Cedarhurst, New York. Central Theatre. January 31: New York. Hunter College. February 5: Providence, Rhode Island. Metropolitan Theatre. February 8: Boston, Massachusetts. Symphony Hall. February 10: Detroit, Michigan. Masonic Auditorium. February 17: Ann Arbor, Michigan. Hill Auditorium, University of Michigan. February 20: Kansas City, Missouri. Music Hall. February 22: Waverly, Iowa. Knights Gymnasium, Wartburg College. February 26-27: Chicago, Illinois. Orchestra Hall. Chicago Symphony Orchestra. March 1: Washington, D.C. Constitution Hall. March 3: New York. Carnegie Hall. March 11: New London, Connecticut. Frank Loomis Palmer Auditorium. March 12: Philadelphia, Pennsylvania. Academy of Music. April 1-2: Tel-Aviv. Ohel-Shem Hall. Israel Philharmonic. Paul Kletzki, conductor. April 4: Tel-Aviv. Ohel-Shem Hall. Israel Philharmonic. Paul Kletzki, conductor. April 6: Tel-Aviv. Ohel-Shem Hall. Israel Philharmonic. Paul Kletzki, conductor. April 8-9: Haifa. Armon Theatre. Israel Philharmonic. Paul Kletzki, conductor. April 10: Haifa. Armon Theatre. April 11: Tel-Aviv. Ohel-Shem Hall. April 13: Tel-Aviv. Ohel-Shem Hall. Israel Philharmonic. Paul Kletzki, conductor. April 14: Jerusalem. Edison Hall. Israel Philharmonic. Paul Kletzki, conductor. April 16: Jerusalem. Edison Hall. April 17: Bet-Haam, Rehovot. Benefit Concert. April 21: Naples. Teatro di S. Carlo. April 24: Milan. Teatro Nuovo. April 27: Rome. Teatro Eliseo. April 30: Marseille. Opéra Municipal. May 6: Porto. Teatro Rivoli. May 15: Copenhagen. Odd Fellow-Palæts Store Sal. May 18: Copenhagen. K.B. Hallen. May 20: Stockholm. Konserthuset Stora Salen. May 29: Oslo. Oslo Philharmonic. Odd Grüner-Hegge, conductor. June 1: Paris. Théatre National du Palais de Chaillot. June 4: Paris. Théatre National du Palais de Chaillot. June 12: London. Royal Festival Hall. November 30: Hollywood, California. Radio Recorders. Emanuel Bay, piano. December 1-2: Hollywood, California. Radio Recorders. Emanuel Bay, piano. January 11: Beaumont, Texas. City Auditorium. January 13-14: Norman, Oklahoma. Holmberg Hall. January 20: East Lansing, Michigan. College Auditorium, Michigan State College. January 23: Chicago, Illinois. Orchestra Hall. February 9: Brooklyn, New York. Brooklyn Academy of Music. February 11: Cincinnati, Ohio. Taft Auditorium. February 14: Washington, D.C. Constitution Hall. February 19: Montreal, Quebec. Her Majesty’s Theatre. February 22: Winnipeg, Manitoba. Winnipeg Auditorium. February 28: Buffalo, New York. Kleinhans Music Hall. Buffalo Philharmonic Orchestra. March 2: Buffalo, New York. Kleinhans Music Hall. Buffalo Philharmonic Orchestra. March 4: Detroit, Michigan. Detroit Symphony Orchestra. Paul Paray, conductor. March 7-8: Madison, Wisconsin. Wisconsin Union Theater, University of Wisconsin. March 19: Durham, North Carolina. Page Auditorium, Duke University. March 29: Hollywood, California. Radio broadcast: “The Telephone Hour.” Orchestra. March 31: Pasadena, California. Pasadena Civic Auditorium. Los Angeles Philharmonic. April 18: Tokyo. Imperial Theatre. April 20: Tokyo. Hibiya Hall. April 22: Tokyo. Hibiya Hall. April 30: Sendai. Public Hall. May 9: Osaka. Asahi Kaikan. May 17: Tokyo. Hibiya Hall. May 19: Tokyo. Hibiya Hall. May 21: Tokyo. Hibiya Hall. May 24: Shimonoseki. Toho Theatre. May 26: Fukuoka. Denki Hall. Philharmonic. Alfred Wallenstein, conductor. Recording sessions for RCA Victor. November 19: London. Royal Festival Hall. [With orchestra?]. December 8-10: Hollywood, California. Radio Recorders. Brooks Smith, piano. January 17: San Angelo, Texas. Municipal Auditorium. January 20: New Orleans, Louisiana. January 23: Oklahoma City, Oklahoma. Municipal Auditorium. January 27: Asheville, North Carolina. January 29: Atlanta, Georgia. Municipal Auditorium. January 31: Florence, Alabama. Coffee Auditorium. February 4: Columbia, South Carolina. Township Auditorium. February 6: Washington, D.C. Constitution Hall. February 8: Detroit, Michigan. Masonic Auditorium. February 13: Boston, Massachusetts. Symphony Hall. February 15: New York. Carnegie Hall. February 17: Syracuse, New York. Lincoln Auditorium. February 20: Chicago, Illinois. Orchestra Hall. February 21-22: Chicago, Illinois. Orchestra Hall. Chicago Symphony Orchestra. Fritz Reiner, conductor. Recording sessions for RCA Victor. February 25: Indianapolis, Indiana. Murat Theatre. February 28: Los Angeles, California. Philharmonic Auditorium. March 8: Vancouver, British Columbia. Georgia Auditorium. March 15: San Francisco, California. War Memorial Opera House. March 28: Camaguey. Teatro Casablanca. April 11: Guatemala City. Teatro Capitol. April 13: San José. Teatro Nacional. April 16: Quito. Teatro Nacional Sucre. April 18: Bogota. Teatro Colon. April 22: Medellin. Teatro Lido. April 25: Maracaibo. Teatro Baralt. April 27: Caracas. Teatro Municipal. April 28: Caracas. Teatro Municipal. Orchestra. Rios Reyna, conductor. May 2: Lima. Teatro Municipal. May 4: Santiago. Teatro Municipal. May 12: Montevideo. S.O.D.R.E. Estudio Auditorio. November 25-26: Boston, Massachusetts. Symphony Hall. Boston Symphony Orchestra. Charles Munch, conductor. Radio broadcast. November 27-28: Boston, Massachusetts. Symphony Hall. Boston Symphony Orchestra. Charles Munch, conductor. Recording sessions for RCA Victor. December 15-17: Hollywood, California. Radio Recorders. Brooks Smith, piano. January 19: Detroit, Michigan. Detroit Symphony Orchestra. Paul Paray, conductor. February 5: Washington, D.C. Constitution Hall. February 12: New York. Carnegie Hall. Radio broadcast: New York Philharmonic. February 14: New Haven, Connecticut. Woolsey Hall, Yale University. February 15: Atlantic City, New Jersey. February 18: New York. Hunter College. February 20: Providence, Rhode Island. February 27: Fort Wayne, Indiana. March 4: Kohler, Wisconsin. The Kohler Recreation Hall. March 7: Winnipeg, Manitoba. Winnipeg Auditorium. March 12: Saskatoon, Saskatchewan. Capitol Theatre. March 15: Edmonton, Alberta. Edmonton Gardens Concert Hall. March 17: Calgary, Alberta. Stampede Corral Concert Hall. March 22: Colorado Springs, Colorado. High School Auditorium. March 24: Chicago, Illinois. Orchestra Hall. March 27: Dallas, Texas. State Fair Music Hall. Dallas Symphony Orchestra. Walter Hendl, conductor. Recording session for RCA Victor. May 14: Paris. Théatre National du Palais de Chaillot. May 21: Florence. Teatro Comunale. June 3: London. Royal Festival Hall. Philharmonia Orchestra. Paul Paray, conductor. June 5: London. Royal Festival Hall. June 9: Milan. Teatro alla Scala. June 11: Milan. Teatro alla Scala. March 27-30: Hollywood, California. Radio Recorders. William Primrose, viola. Reiner, conductor. Recording session for RCA Victor. January 10 and 12: Chicago, Illinois. Orchestra Hall. Chicago Symphony Orchestra. Walter Hendl, conductor. Recording sessions for RCA Victor. February 23-25: Boston, Massachusetts. Symphony Hall. Boston Symphony Orchestra. Symphony Orchestra. Paul Paray, conductor. Human Rights Day Concert. Piatigorsky, cello. Recording sessions for RCA Victor. September 4: Hollywood, California. Hollywood Bowl. New York Philharmonic. September 20-21: Hollywood, California. RCA Studios. Gregor Piatigorsky, cello. September 22-23: Hollywood, California. RCA Studios. Brooks Smith, piano. Malcolm Sargent, conductor. Recording session for RCA Victor. May 19-20: London. Walthamstow Town Hall. New Symphony Orchestra of London. Primrose, viola. Gregor Piatigorsky, cello. Gabor Rejto, cello. August 13: Hollywood, California. Pilgrimage Theater. Leonard Pennario, piano. Majewski, viola. Gregor Piatigorsky, cello. Gabor Rejto, cello. Rejto, cello. Recording sessions for RCA Victor. May 10: Paris. Théatre National de l’Opéra. Orchestre du Théatre National de l’Opéra. Paul Paray, conductor. Benefit concert for old musicians. piano. William Primrose, viola. Gregor Piatigorsky, cello. piano. Israel Baker, violin. William Primrose, viola. Virginia Majewski, viola. violin. Arnold Belnick, violin. Joseph Stepansky, violin. William Primrose, viola. September 1: Hollywood, California. Hollywood Bowl. New York Philharmonic. Leonard Bernstein, conductor. Gregor Piatigorsky, cello. October 6: Los Angeles, California. Scottish Rite Auditorium. Chamber orchestra. cello. Chamber orchestra. Recording session for RCA Victor. Piatigorsky, cello. Recording session for RCA Victor. Primrose, viola. Virginia Majewski, viola. Gregor Piatigorsky, cello. September 24: New York. Carnegie Hall. Jacob Lateiner, piano. Israel Baker, violin. Joseph de Pasquale, viola. Gregor Piatigorsky, cello. October 1: New York. Carnegie Hall. Gregor Piatigorsky, cello. Chamber orchestra. Baker, violin. Joseph de Pasquale, viola. Gregor Piatigorsky, cello. November 18: Hollywood, California. RCA Studios. Gregor Piatigorsky, cello. April 4: Los Angeles, California. Bovard Auditorium, University of Southern California. Rejto, cello. Scholarship Fund Concert. September 25: New York. Carnegie Hall. Jacob Lateiner, piano. Israel Baker, violin. William de Pasquale, violin. Isidore Cohen, violin. Joseph de Pasquale, viola. Harold Coletta, viola. Laurence Lesser, cello. Gregor Piatigorsky, cello. October 2: New York. Carnegie Hall. Jacob Lateiner, piano. Brooks Smith, piano. October 15: New York. Carnegie Hall. Gregor Piatigorsky, cello. Orchestra. Inbal, conductor. Benefit concert for the Israel Emergency Fund. March 31: Los Angeles, California. Dorothy Chandler Pavilion. Brooks Smith, piano. June 24-25: Los Angeles, California. Scottish Rite Auditorium. Pierre Amoyal, violin. Harshman, viola. Gregor Piatigorsky, cello. Laurence Lesser, cello. June 26-27: Los Angeles, California. Scottish Rite Auditorium. Israel Baker, violin. Milton Thomas, viola. Paul Rosenthal, viola. Gregor Piatigorsky, cello. Laurence Lesser, cello. Recording sessions for RCA Victor. September 16-17: Los Angeles, California. Israel Baker, violin. Milton Thomas, viola. September 19-20: Hollywood, California. RCA Studios. Brooks Smith, piano. No public performances or recording sessions. May 14: Tel-Aviv. Fredric R. Mann Auditorium. Brooks Smith, piano. May 16: Jerusalem. Binyanei Ha’Ooma. Brooks Smith, piano. May 18: Tel-Aviv. Fredric R. Mann Auditorium. Gregor Piatigorsky, cello. May 21: Jerusalem. Binyanei Ha’Ooma. Gregor Piatigorsky, cello. Orchestra. front of an invited audience. No public performances or recording sessions. The hour-long television special, “Heifetz on Television,” which included performances filmed in Paris in September 1970, aired on NBC on Friday, April 23. California. Benefit Concert for scholarships in the USC Strings Department. Rheinhold, viola. Gregor Piatigorsky, cello. piano. Recital for the benefit of scholarship funds at the USC School of Music. Recorded by RCA Victor and released by Columbia Records. California. Brooks Smith, piano. Yuval Yaron, violin. Christian Bor, violin. Sheila Reinhold, viola. Yukiki Kamei, viola. Gregor Piatigorsky, cello.